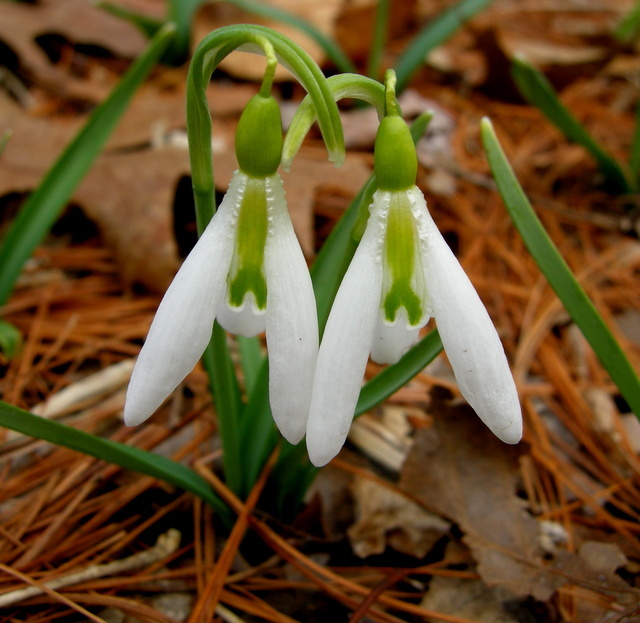 Who said all snowdrops look alike? 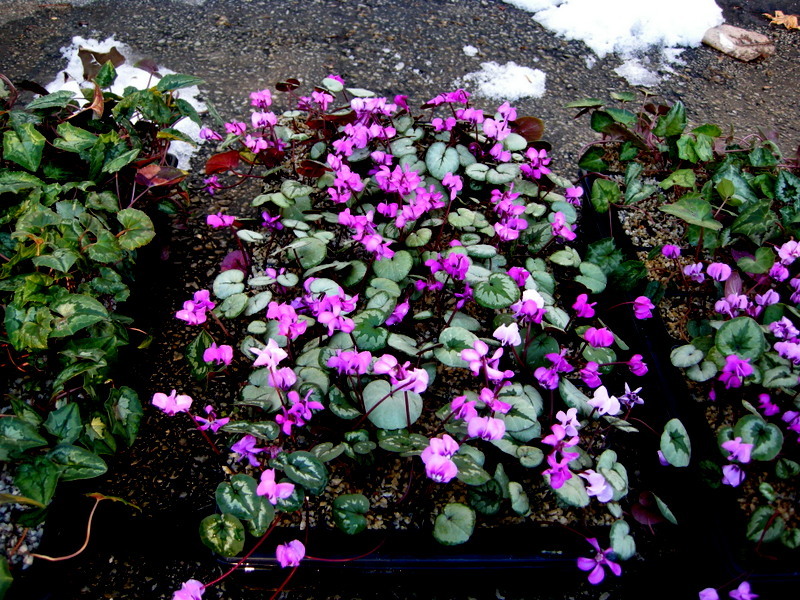 Some of my favorites: top row, L to R, ‘Wendy’s Gold’, ‘Blewbury Tart’, ‘Hippolyta’, ‘Flore Pleno’; middle, ‘Jaquenetta’, ‘Merlin’, ‘Lady Elphinstone’, ‘Augustus’; bottom, unknown, ‘Ophelia’, G. plicatus subsp. 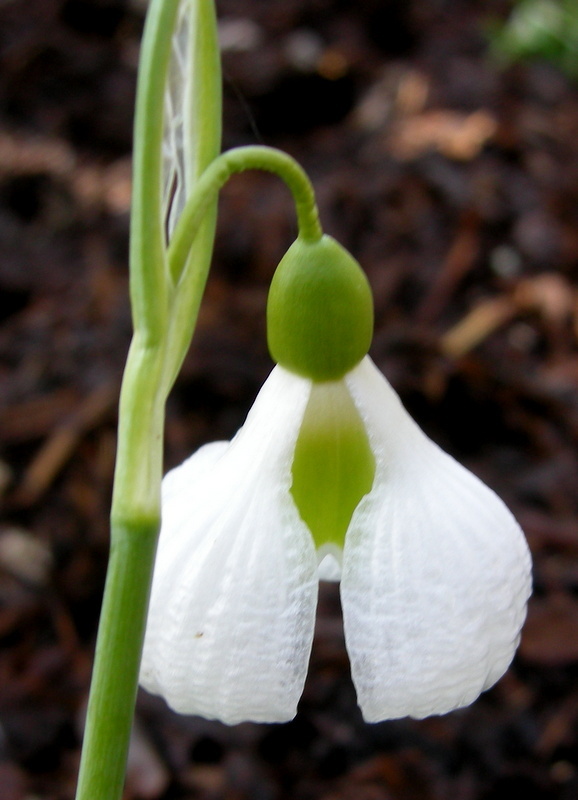 byzantinus, ‘Lady Beatrix Stanley’. 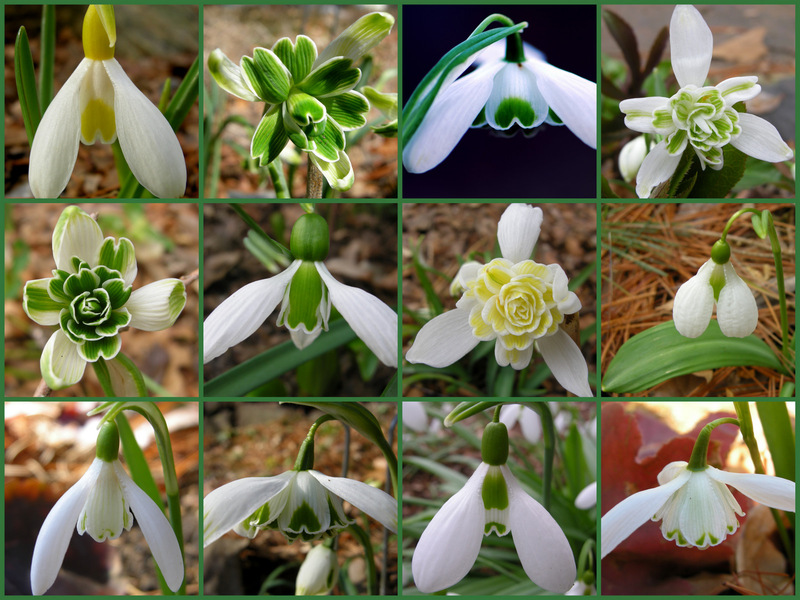 This article includes photographs and colorful descriptions of the 5 new snowdrops I am offering for sale in my 2012 Snowdrop Catalogue. 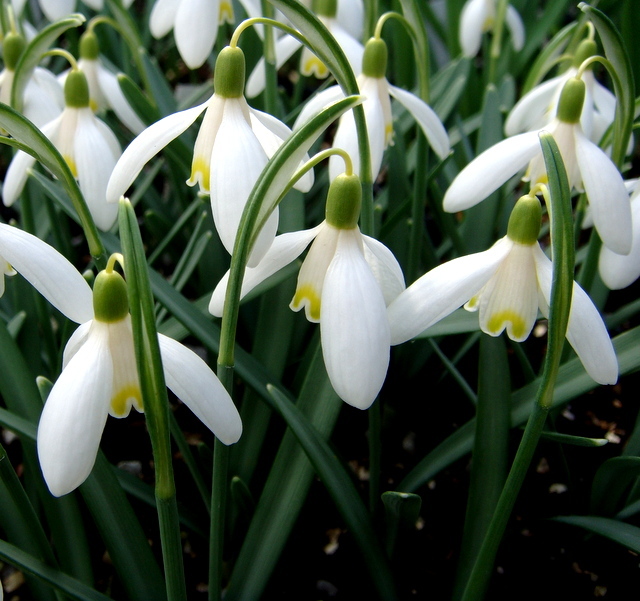 For entertaining descriptions of most of the remaining 13 varieties offered in the 2012 catalogue, click here. 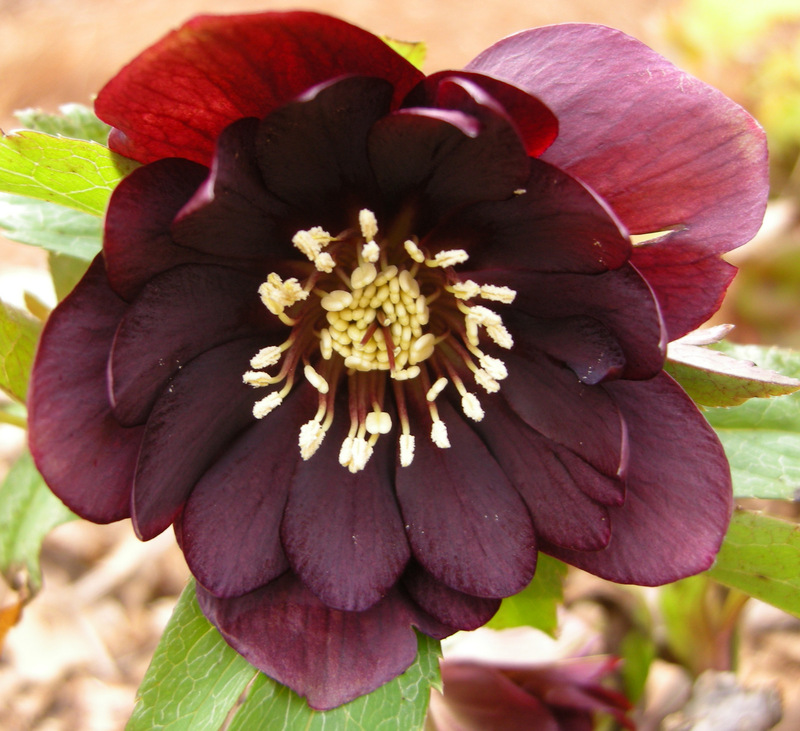 …this crazy, modern double cultivar, ‘Blewbury Tart’, which looks like it’s having a bad hair day (I love it!). 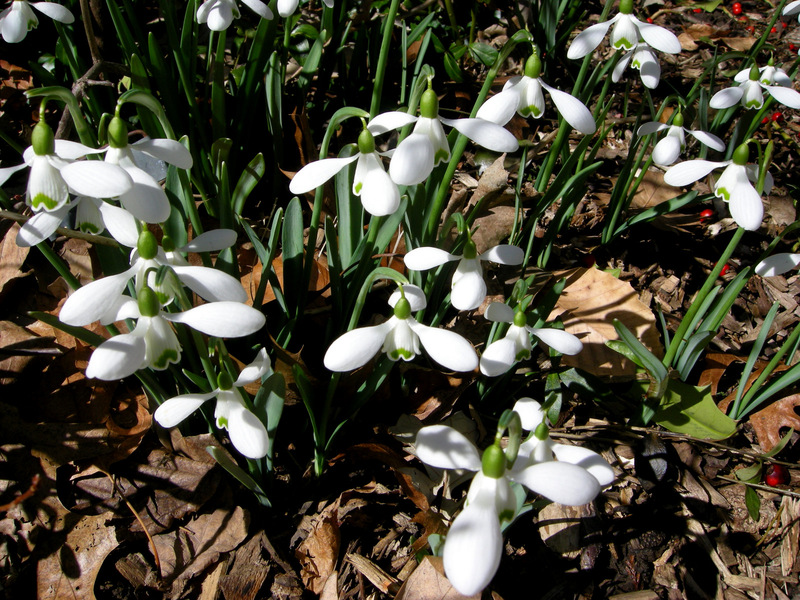 The information in Snowdrops is not only interesting but also crucial to keeping straight all the available snowdrops. 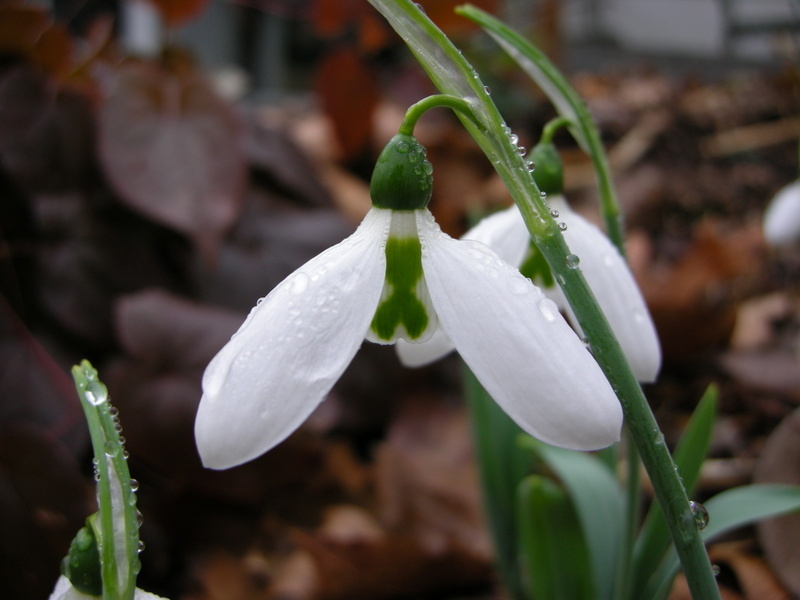 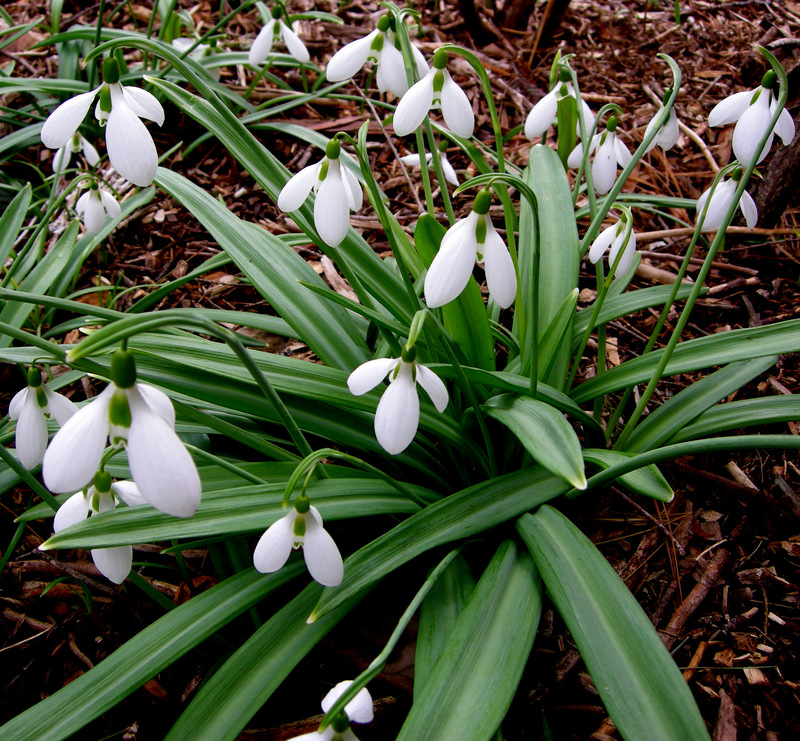 Snowdrops describes over 500 cultivars, and the authors admit that it is now out-of-date, and a second volume is required (for details on Snowdrops 2, click here). 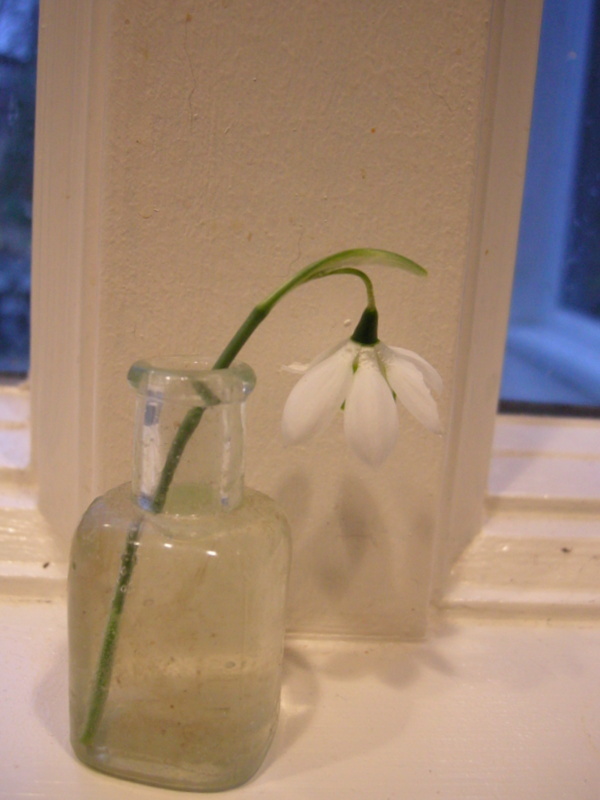 Snowdrops description of the cultivar along with the actual origin of the snowdrop plant in question both contribute to its provenance: the history of its ownership documenting its authenticity. 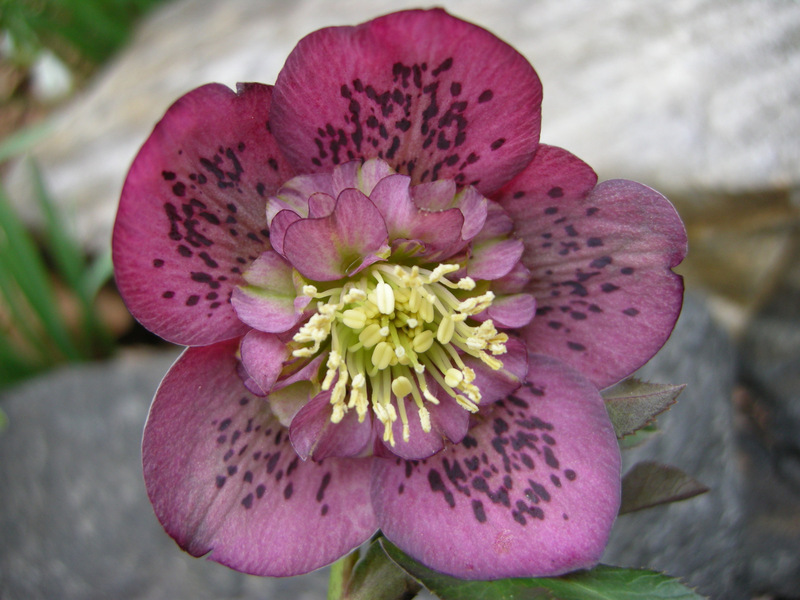 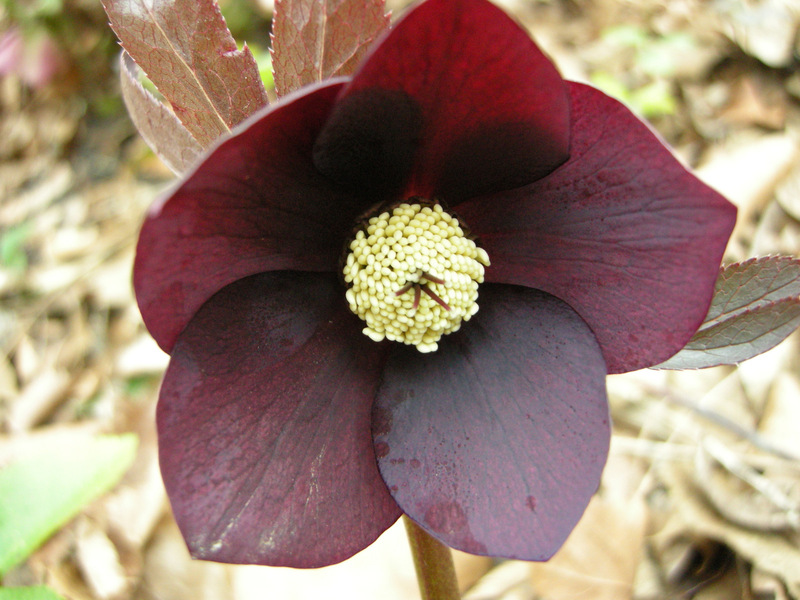 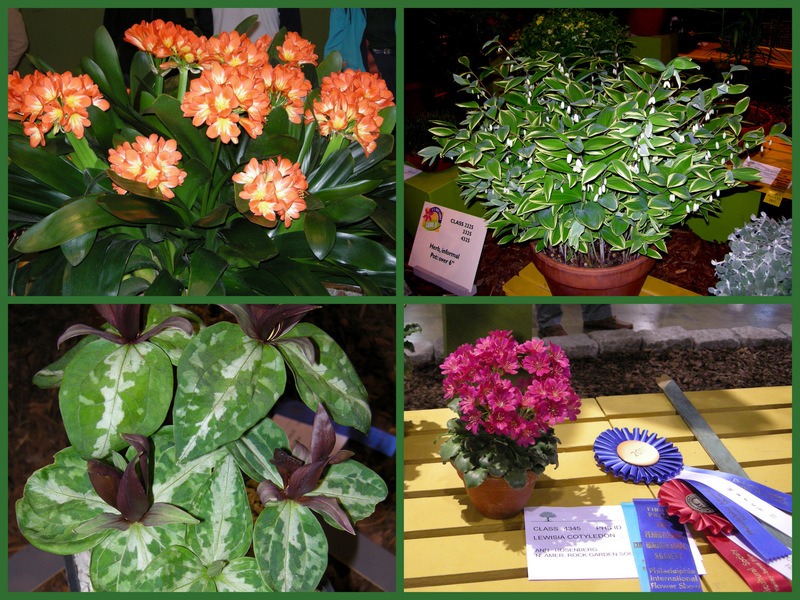 If a collector is purchasing an expensive plant, provenance is very important. 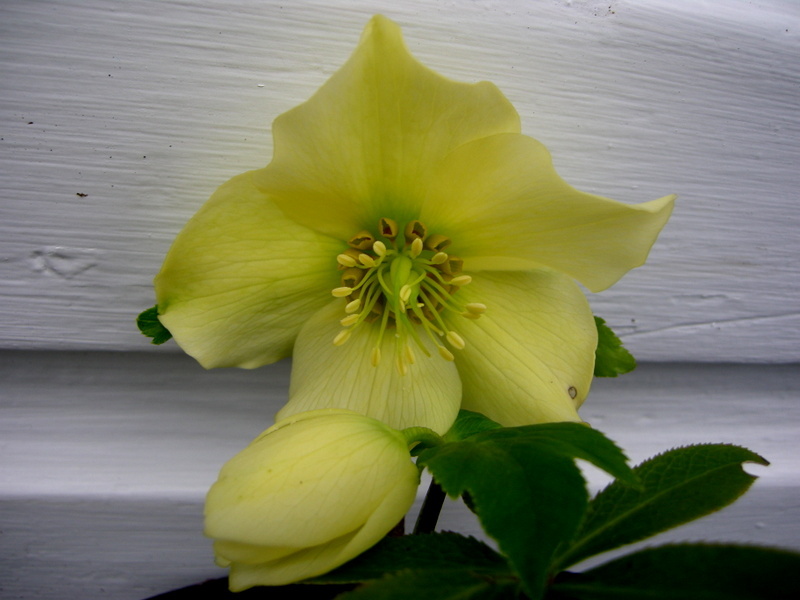 …the highly collectible (with a price to match) ‘Wendy’s Gold’. 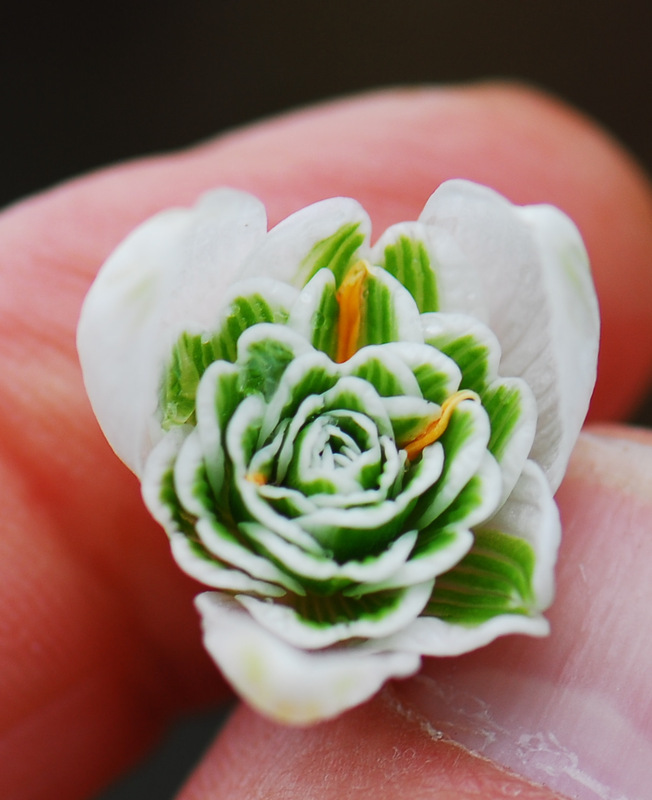 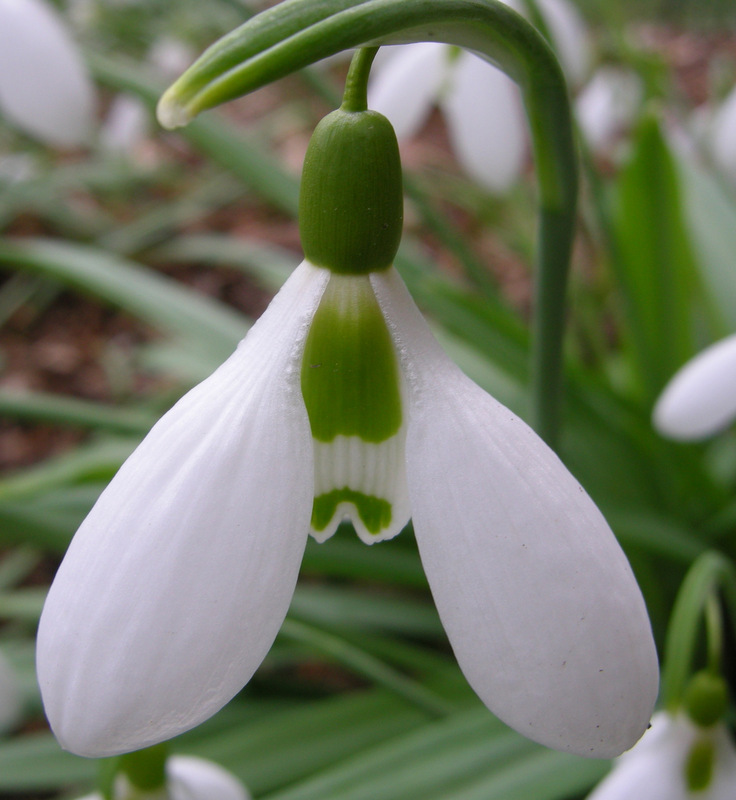 ‘Brenda Troyle’, a new snowdrop from Charles Cresson in my 2012 catalogue, is a perfect example of how this works. 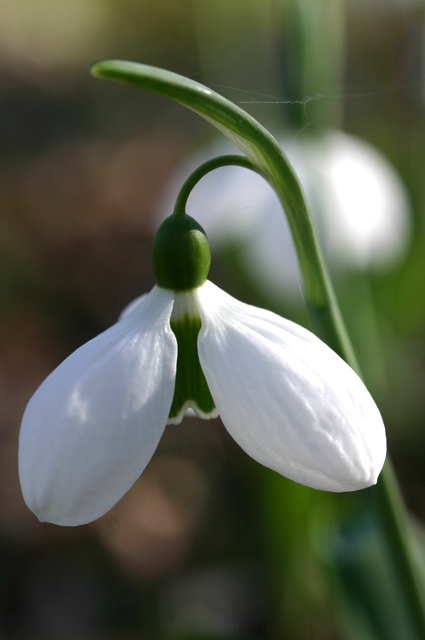 True ‘Brenda Troyle’ is a vigorous snowdrop admired for its well-proportioned, rounded flowers with flared and cupped outer petals (segments) and a strong fragrance of honey. 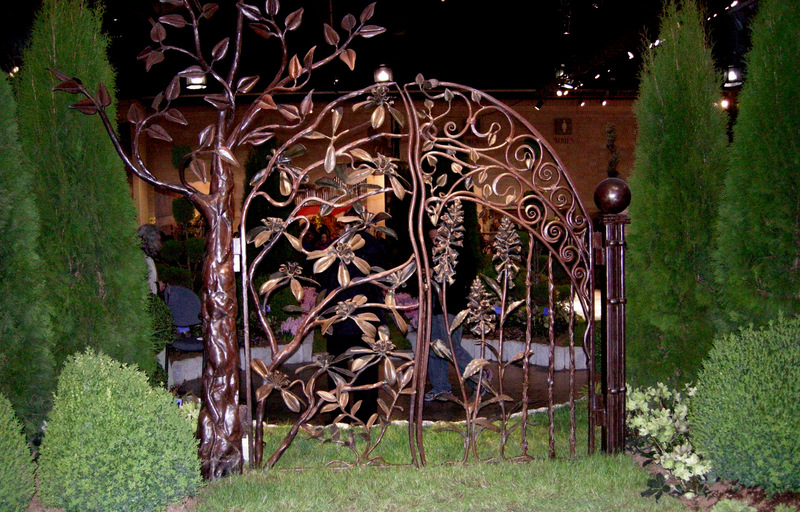 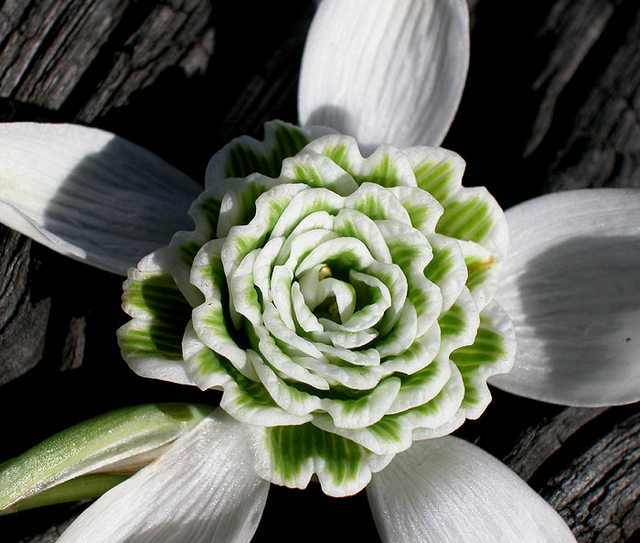 It received an Award of Garden Merit from the Royal Horticultural Society in 1960 for “outstanding excellence for ordinary garden decoration or use.” Customers who attended Charles Cresson’s snowdrop seminars last year loved it. 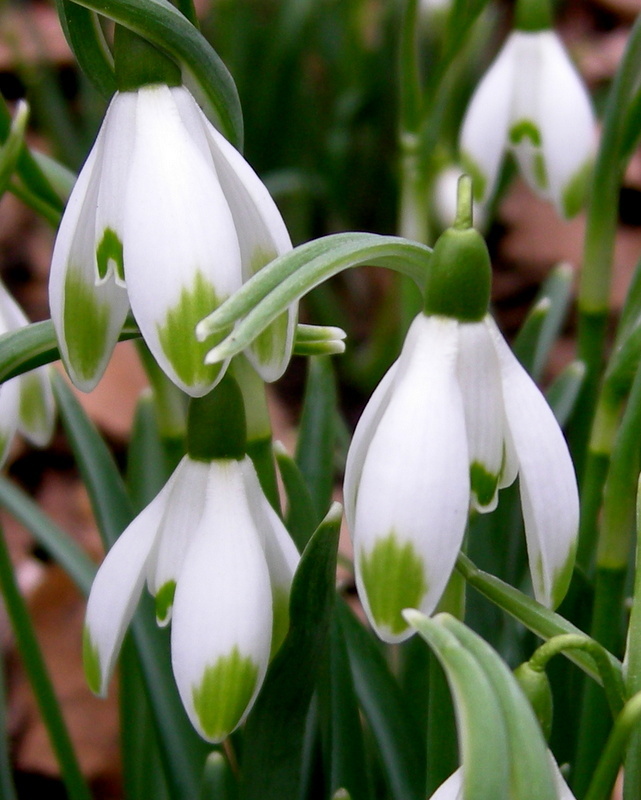 But Snowdrops explains that ‘Brenda Troyle’ is very mixed up in the trade. 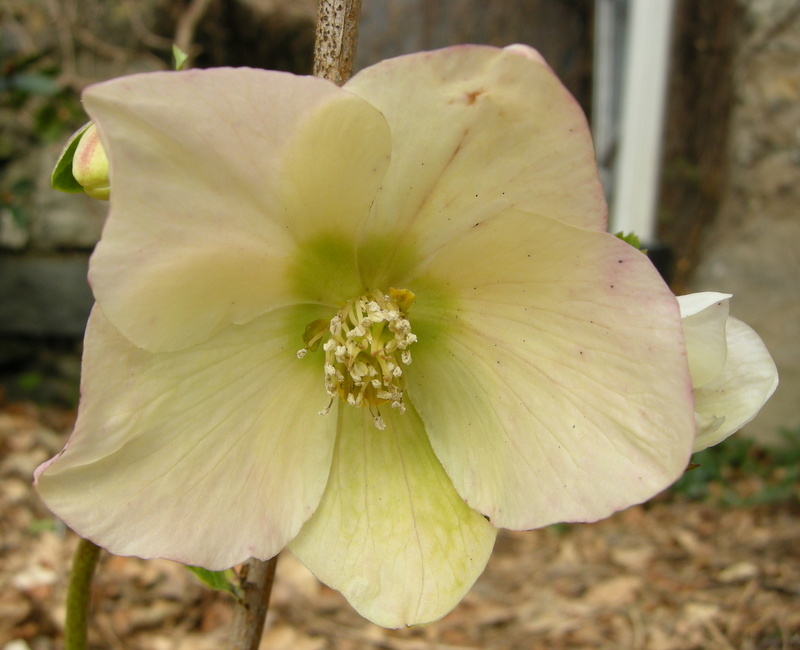 In fact, it is even unclear whether it was named after a character in Sir Walter Scott’s novel The Pirate or a staff member at an Irish nursery. 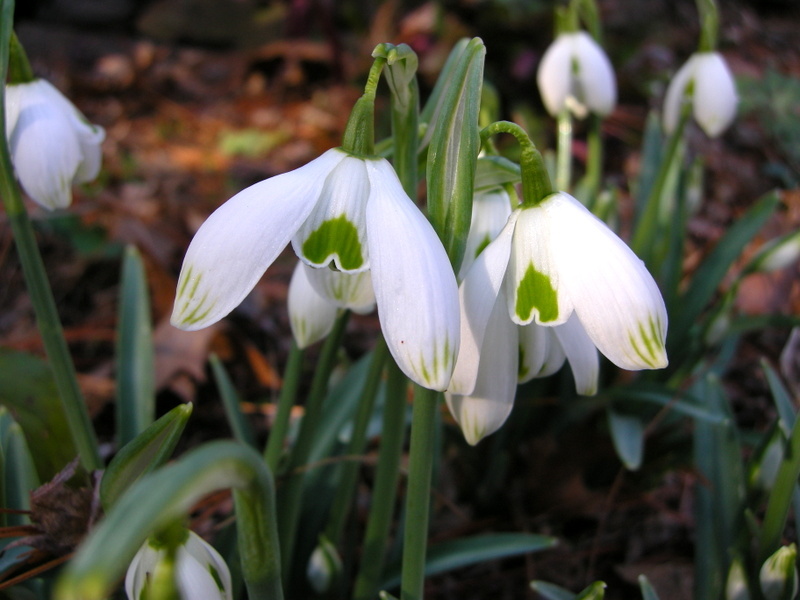 In cases like this, it is very important that the snowdrop display the desirable characteristics of the cultivar as Cresson’s stock does. 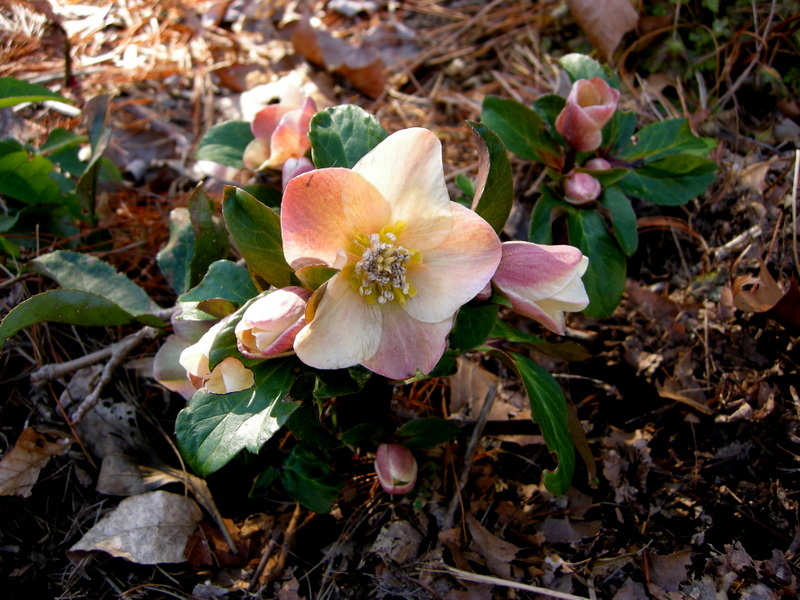 It is equally as important that the original stock was purchased from a reputable source and kept labeled since its purchase. 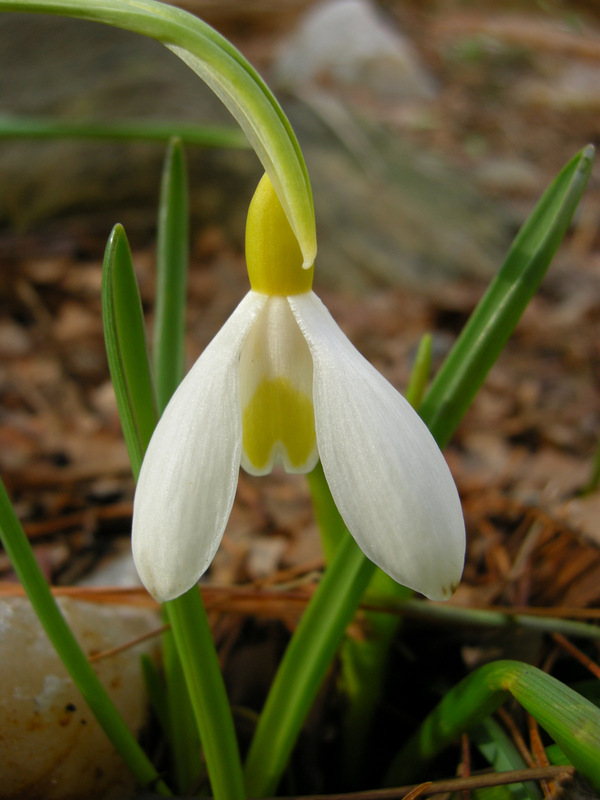 Charles got his plants from a bulb company started by the venerable Hoog family of Van Tubergen fame and conserves his whole snowdrop collection with the utmost care. 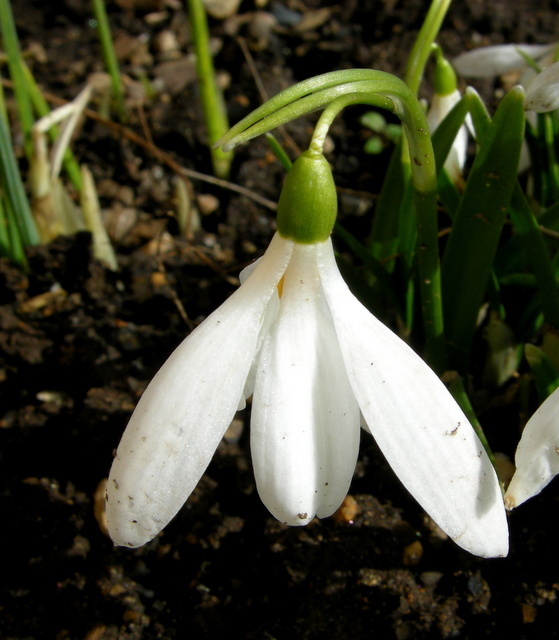 ‘Tiny’ is a snowdrop that does not suffer from an identity crisis as Snowdrops states that almost every galanthophile in the U.K. grows it. 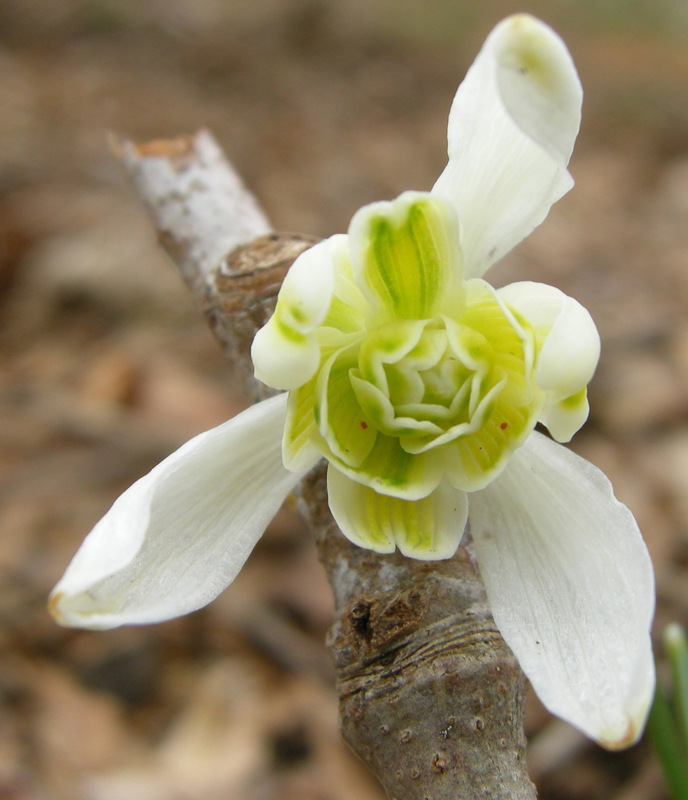 It is a diminutive form of the common snowdrop, G. nivalis, easily distinguished by its narrow leaves and elfin stature. 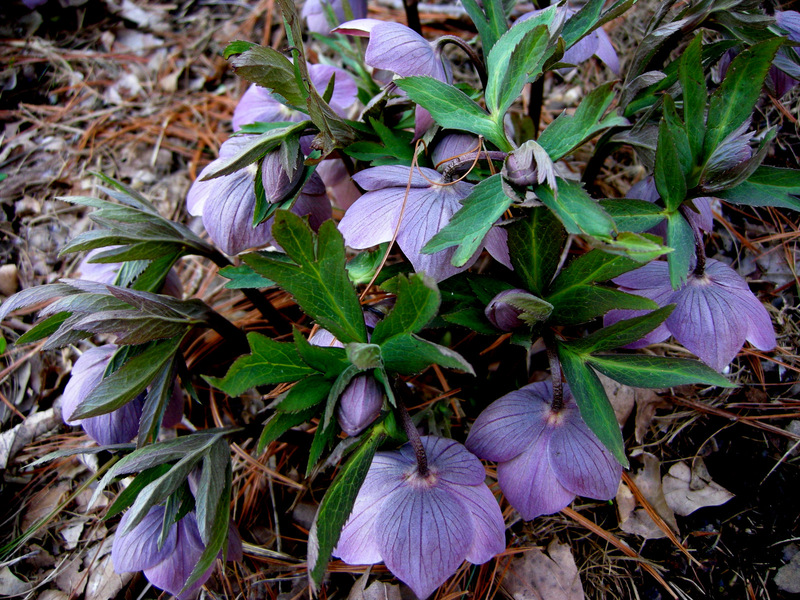 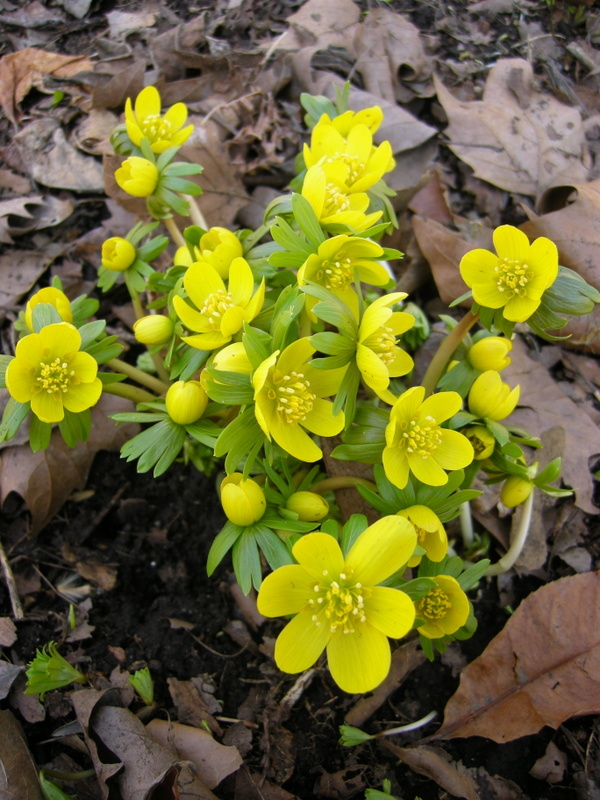 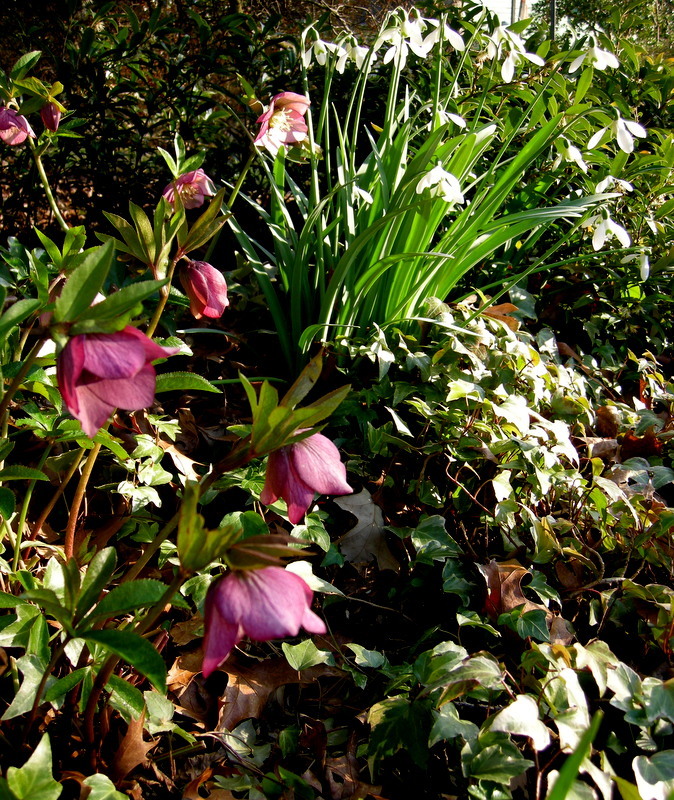 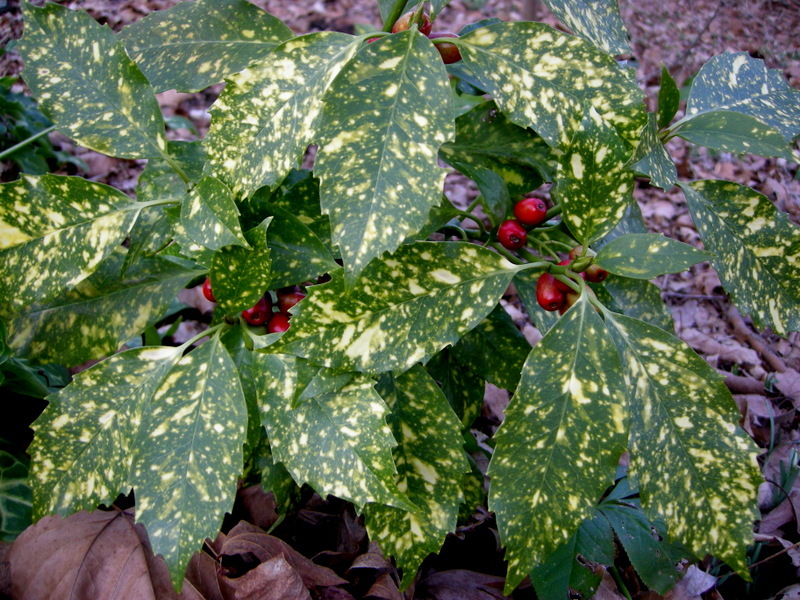 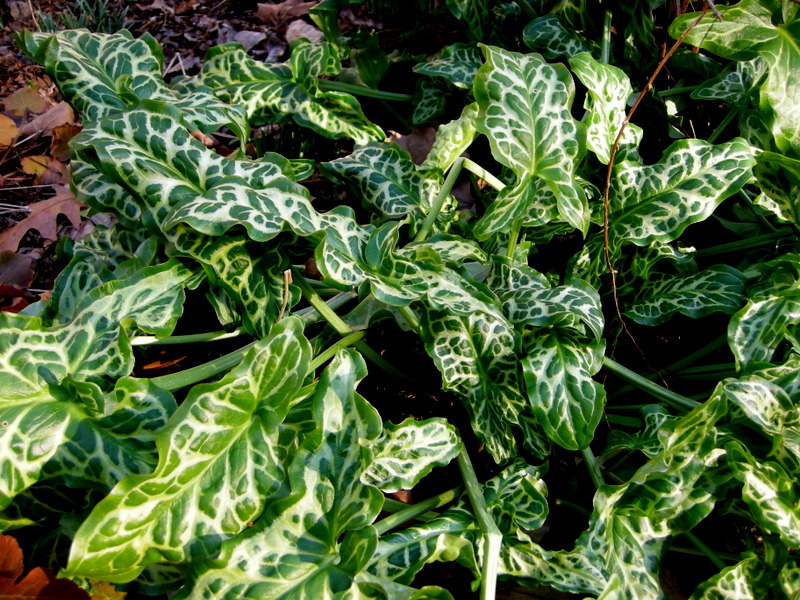 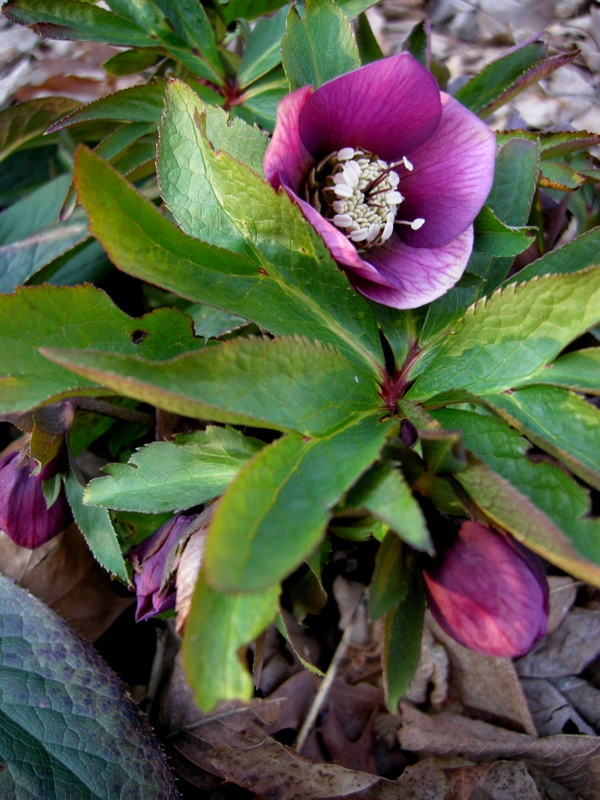 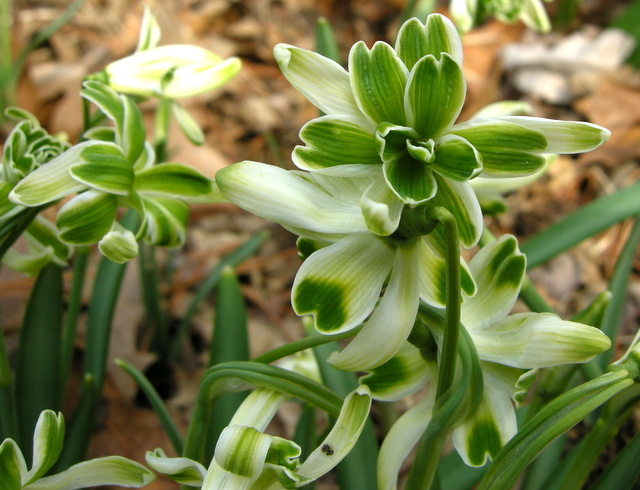 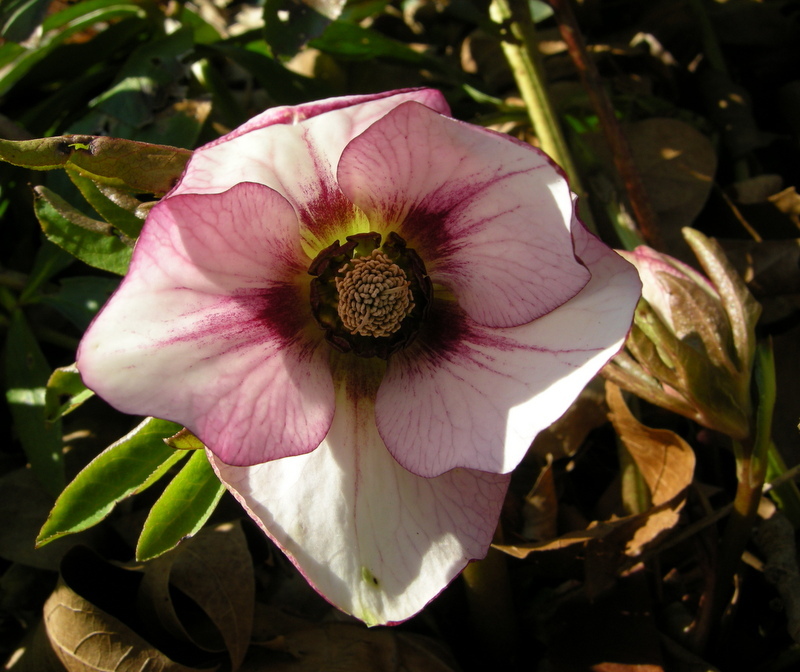 It is quite charming in a clump, which develops rapidly with this vigorous cultivar. 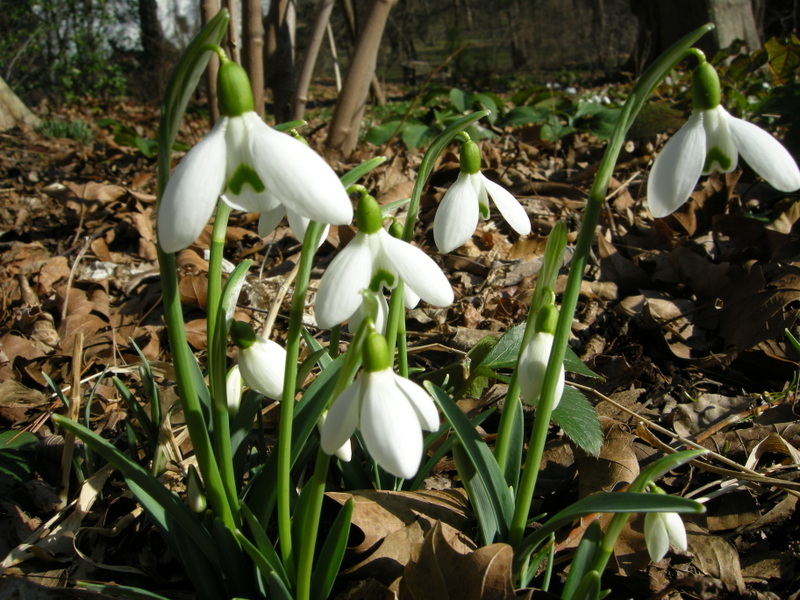 It also flowers later, extending the snowdrop season into late spring. 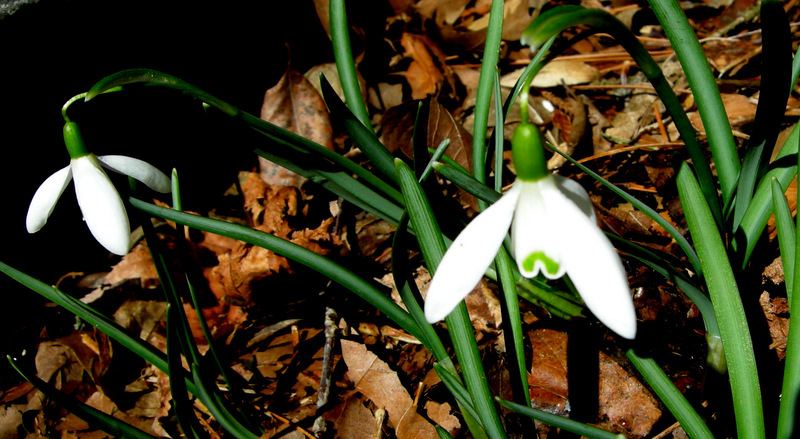 The subspecies byzantinus of G. plicatus is easily distinguished from subspecies plicatus by the two marks on its inner segments. 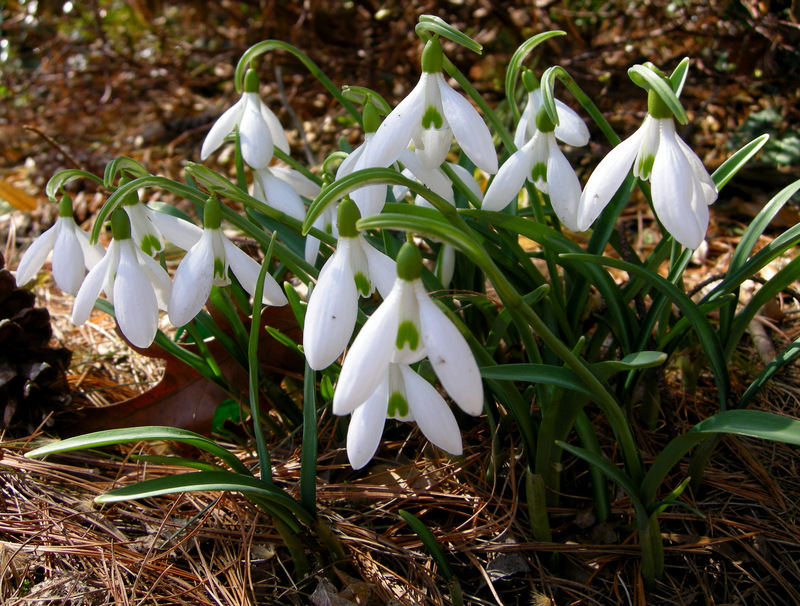 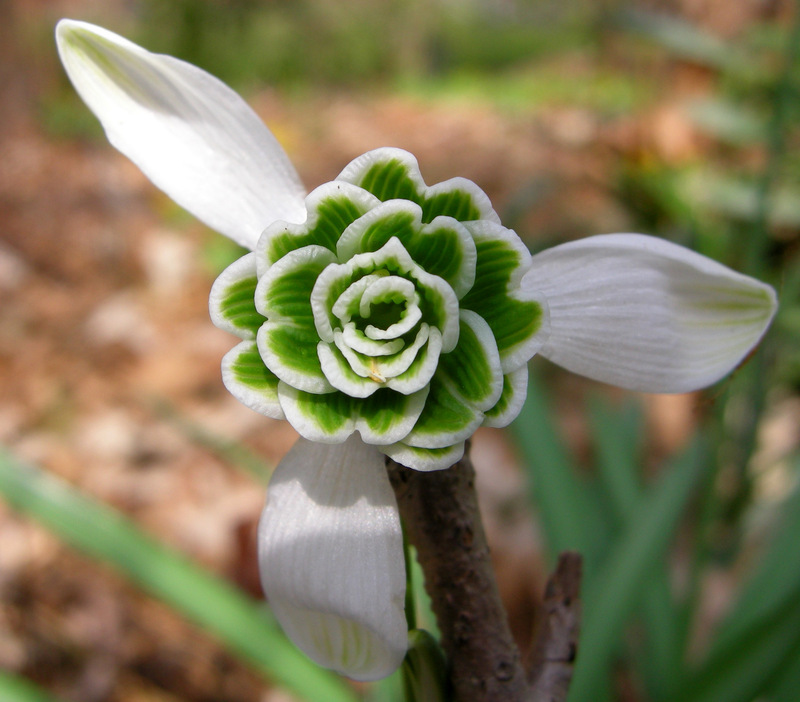 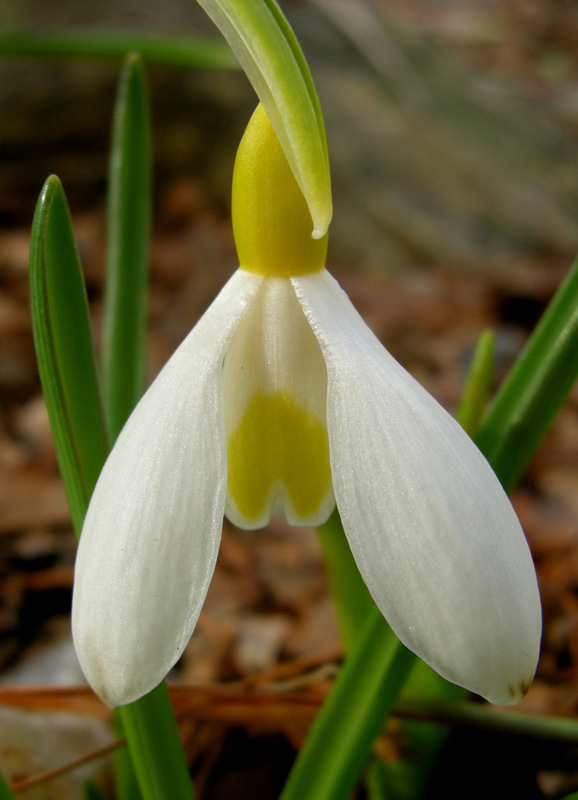 Unique provenance adds significantly to the desirability of a snowdrop as is the case with the Turkish snowdrop, Galanthus plicatus subsp. 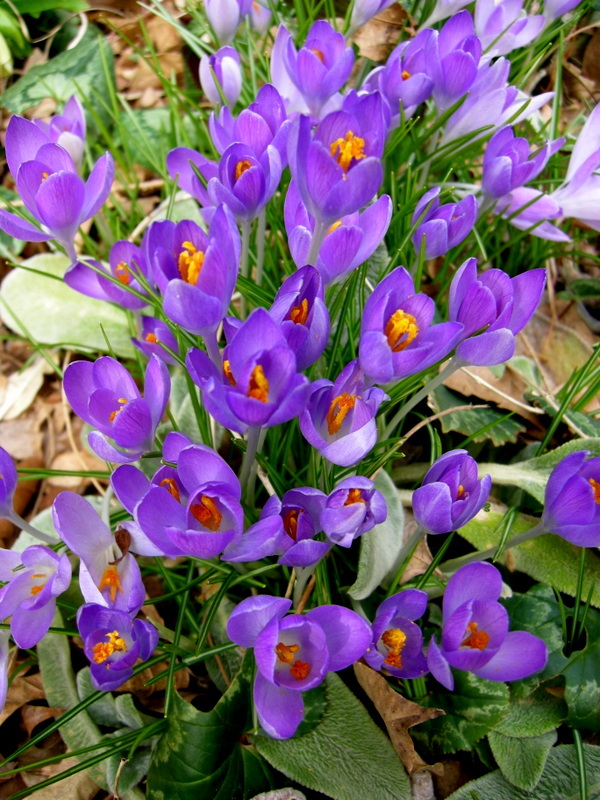 byzantinus. 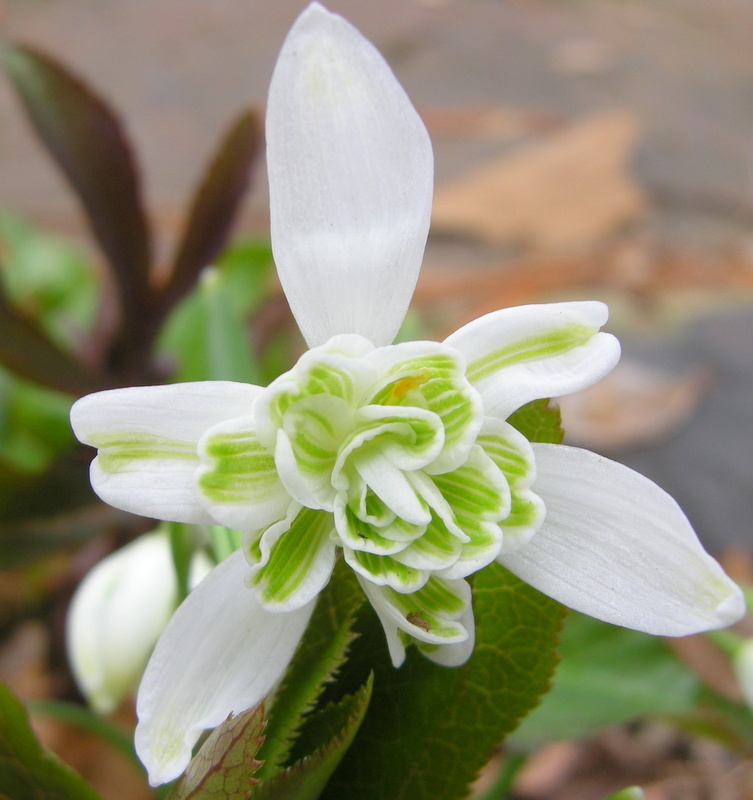 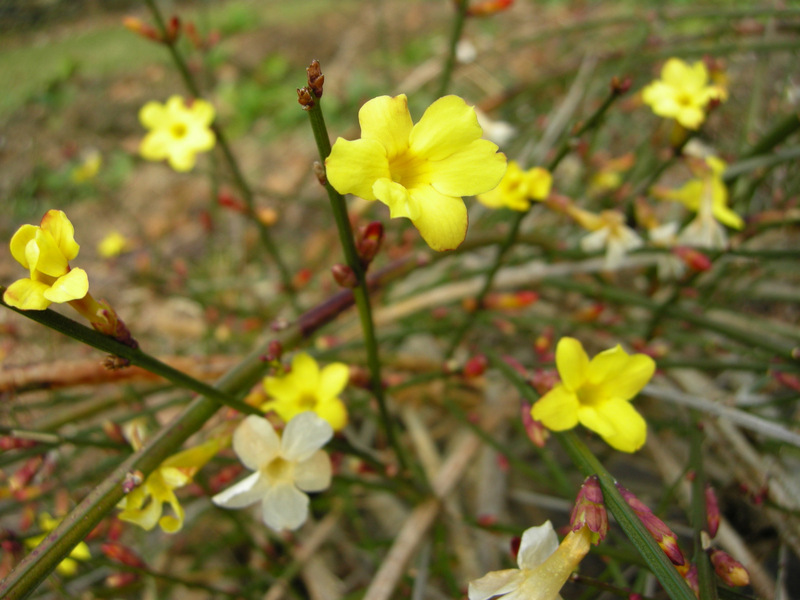 This subspecies has beautiful wide pleated leaves and lovely plump flowers joined in an elegant overall habit. 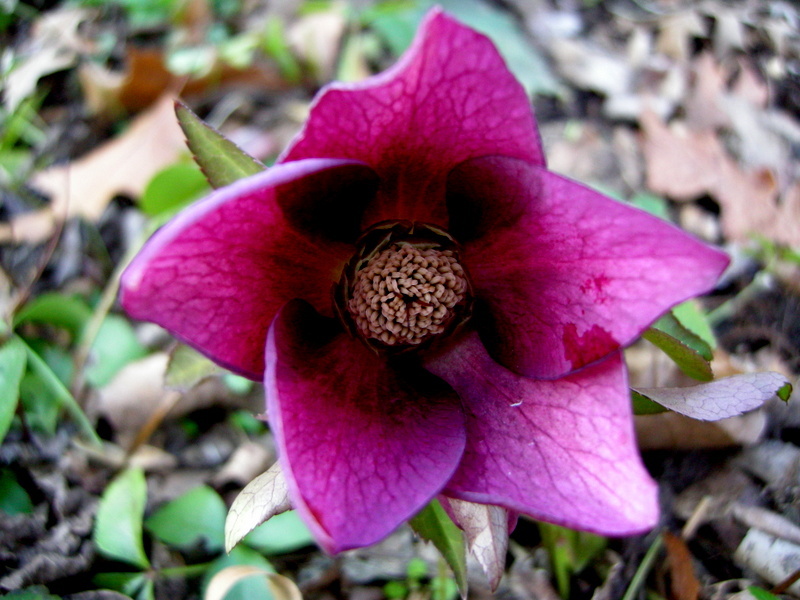 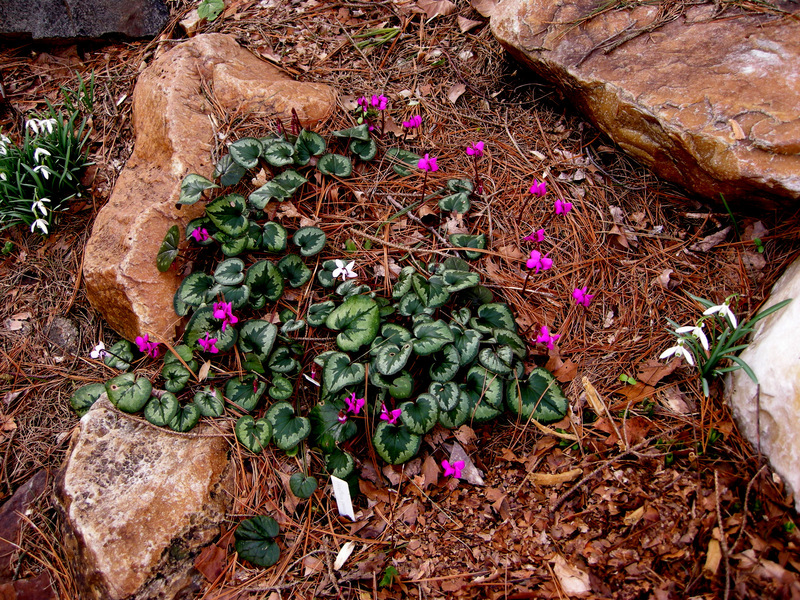 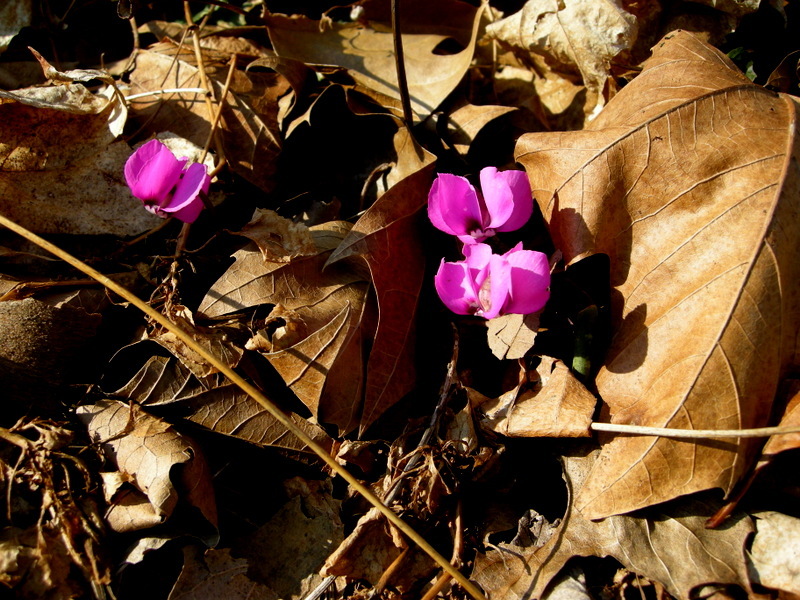 It comes from a small area in northwestern Turkey, but is uncommon even there. 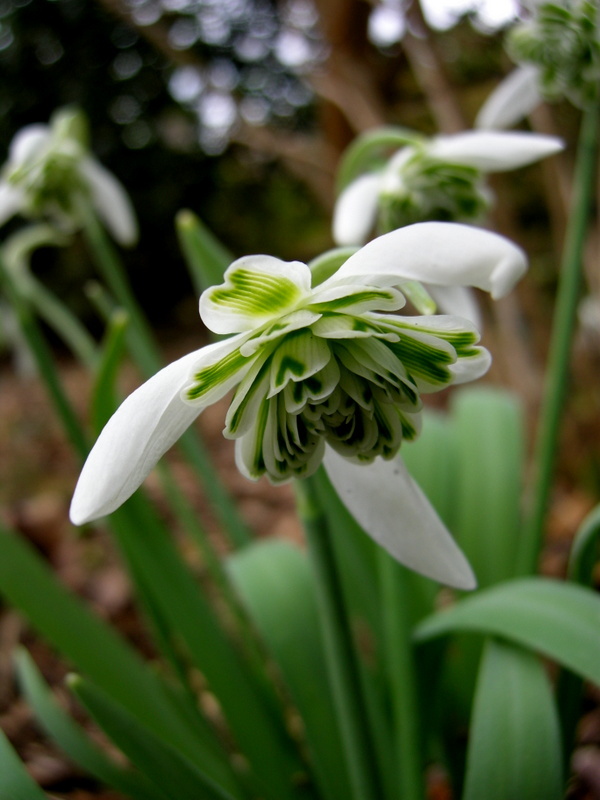 Subspecies byzantinus is an exceptionally good form of G. plicatus, hard to come by even in the U.K. 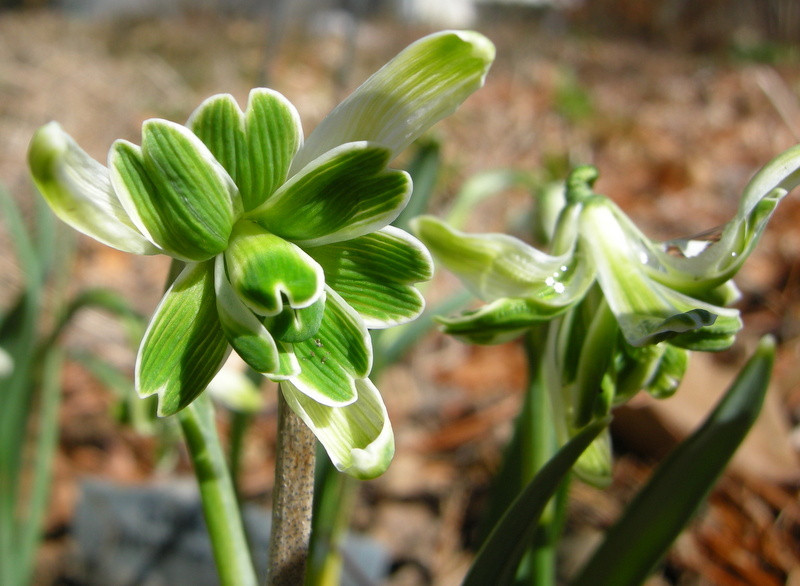 The elegant habit of G. plicatus subsp. 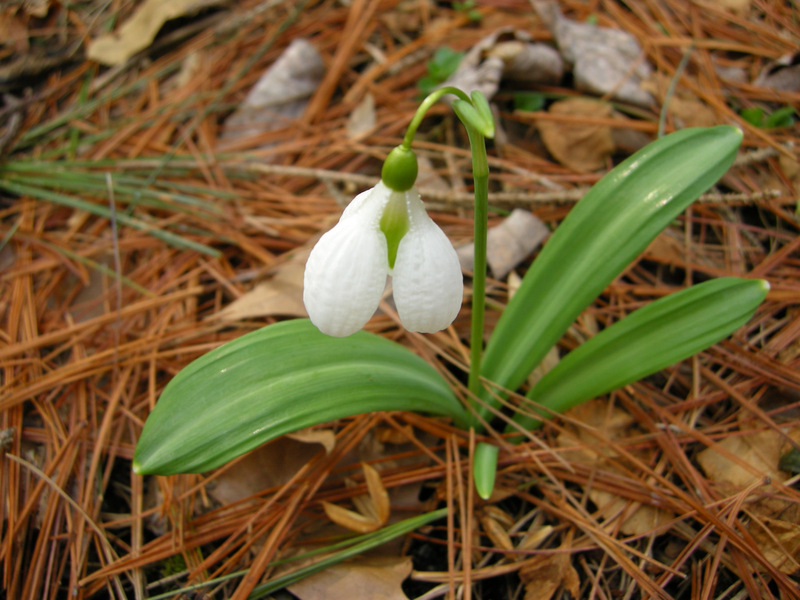 byzantinus. 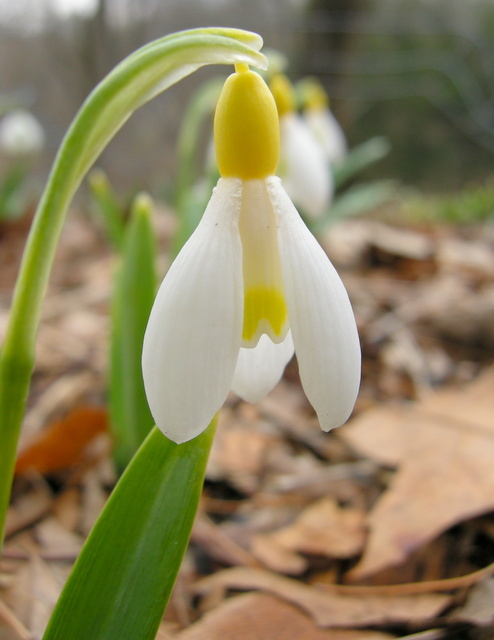 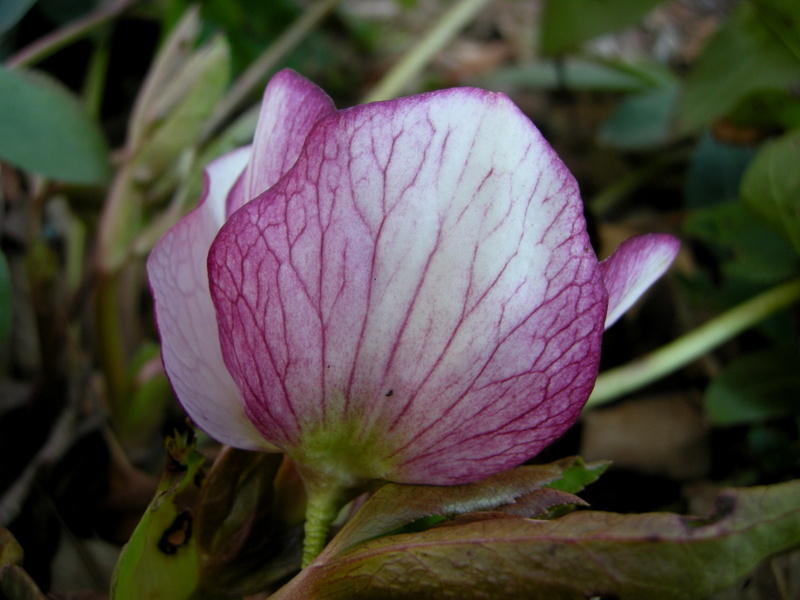 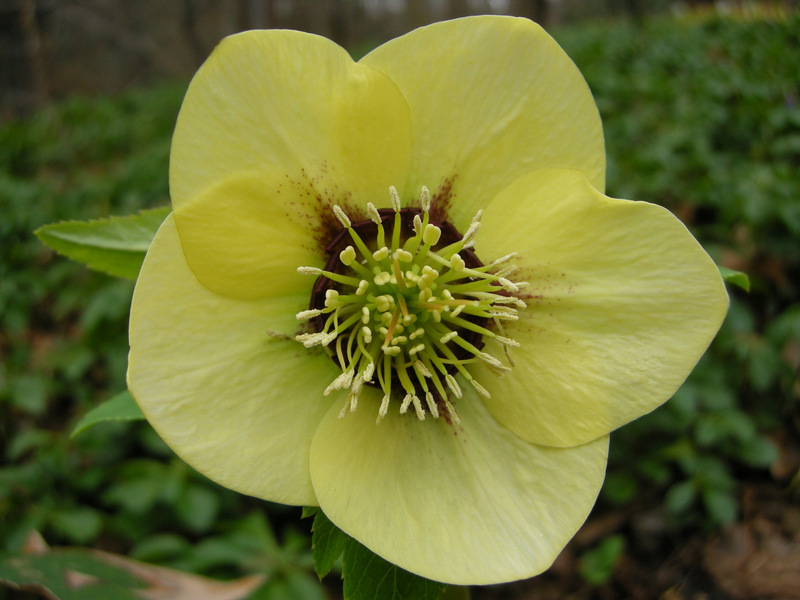 But the part of its provenance that is really exciting is that these plants originated from one of the most celebrated and important American snowdrop collections, the gardens at Winterthur. 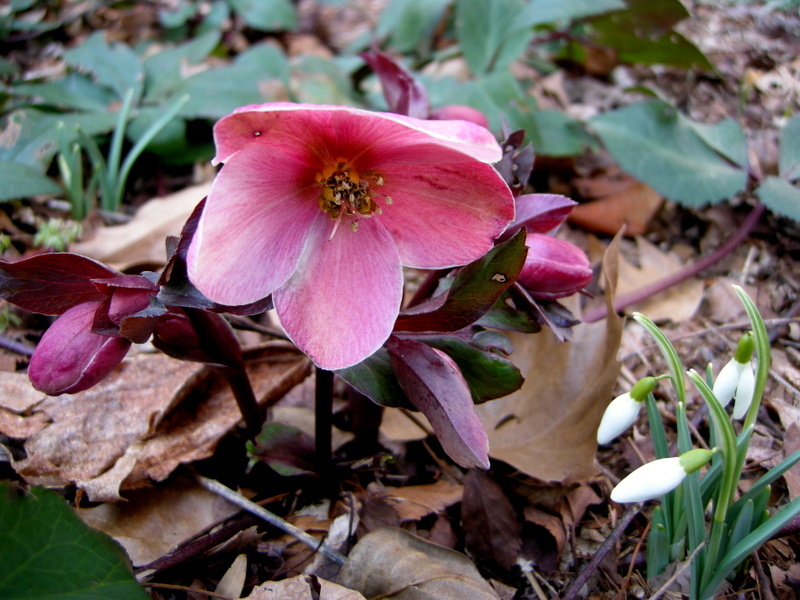 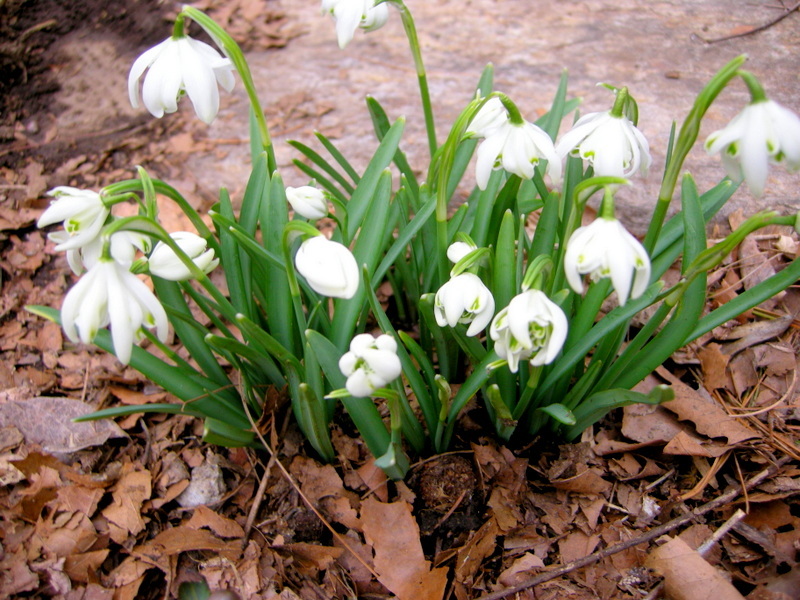 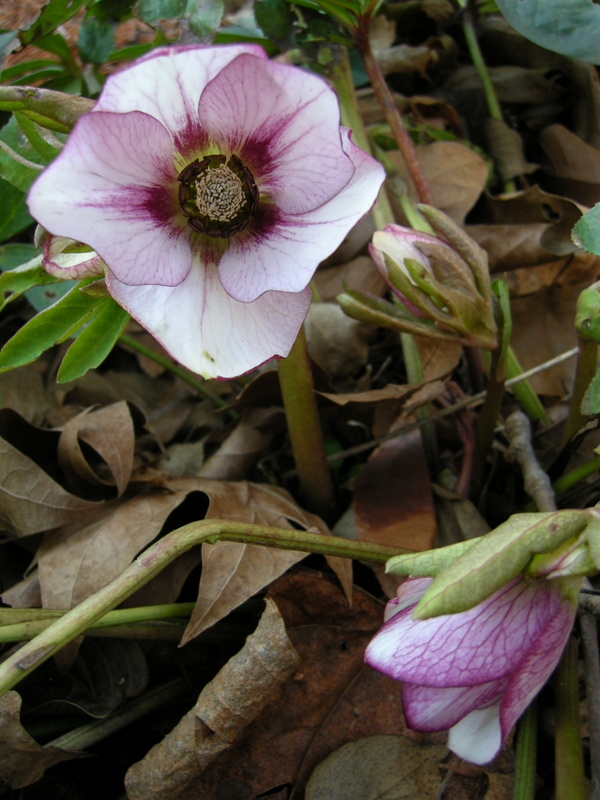 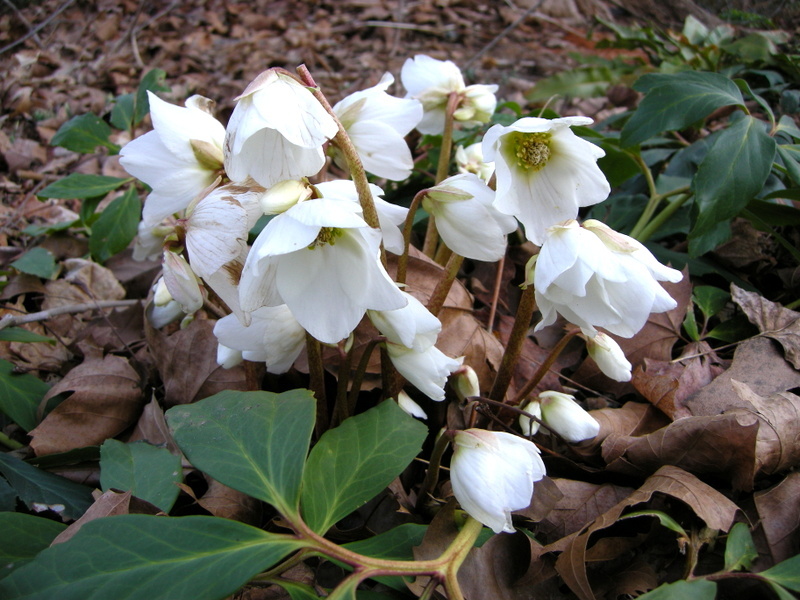 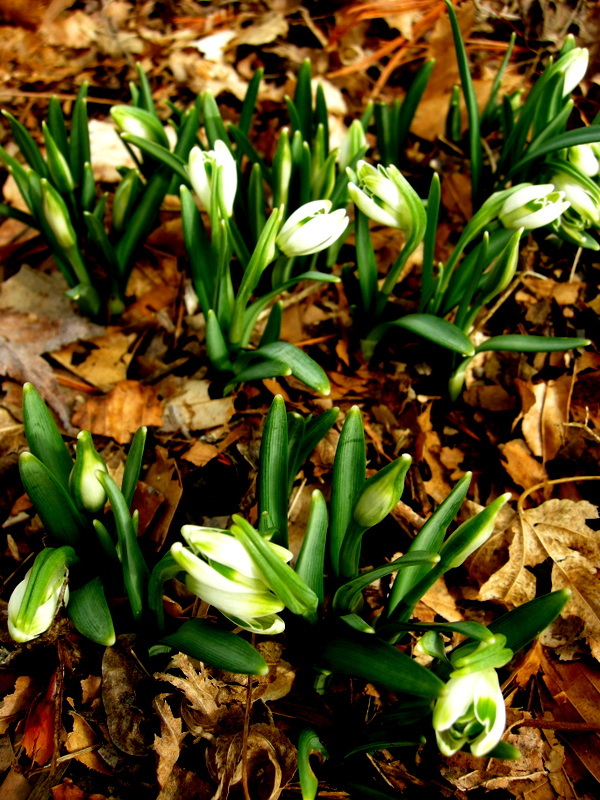 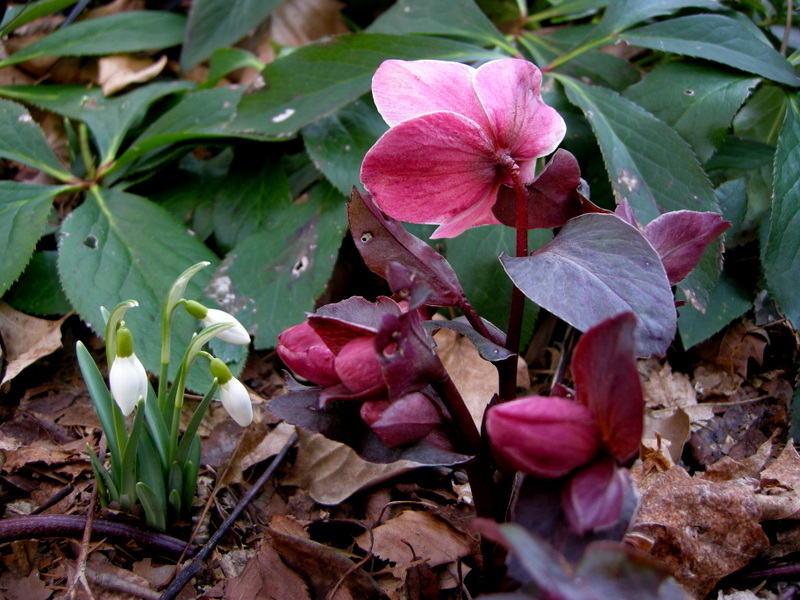 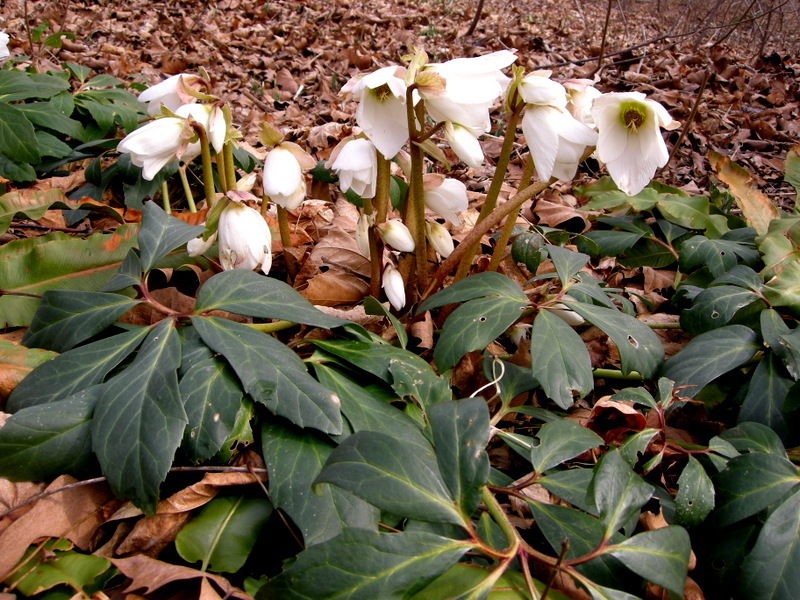 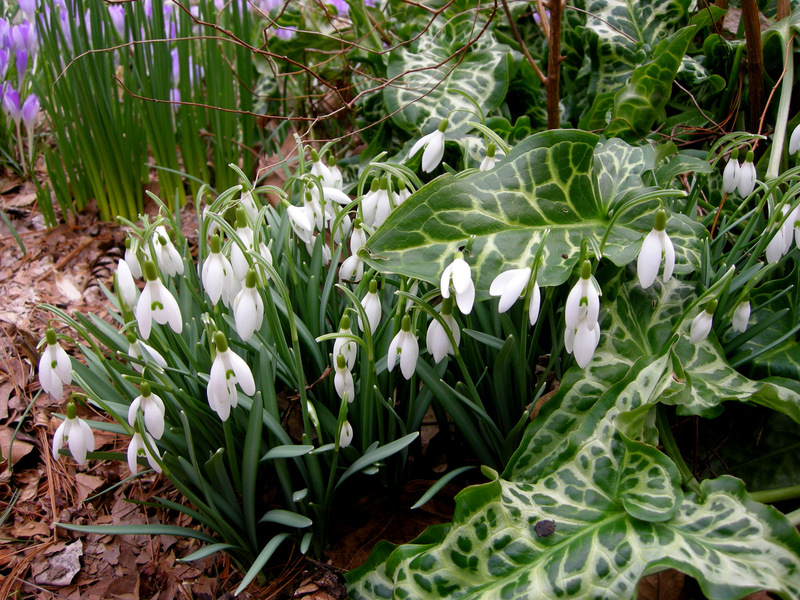 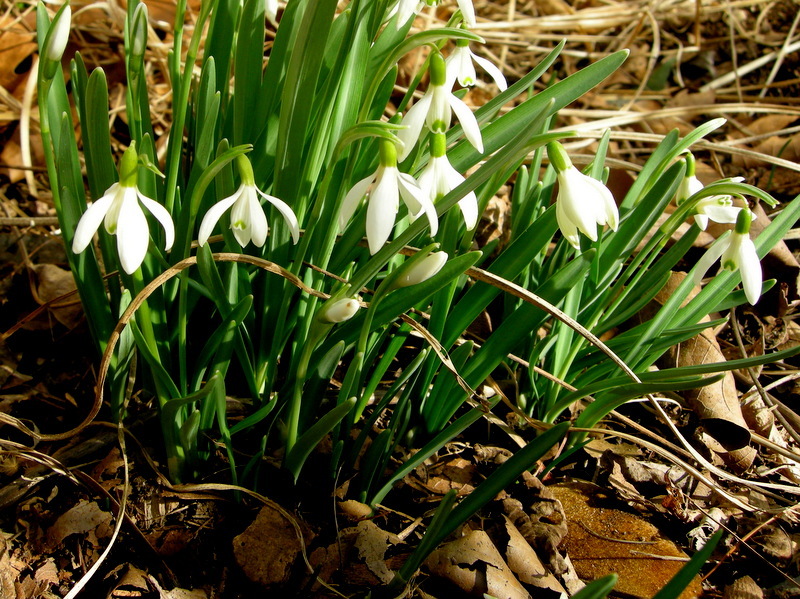 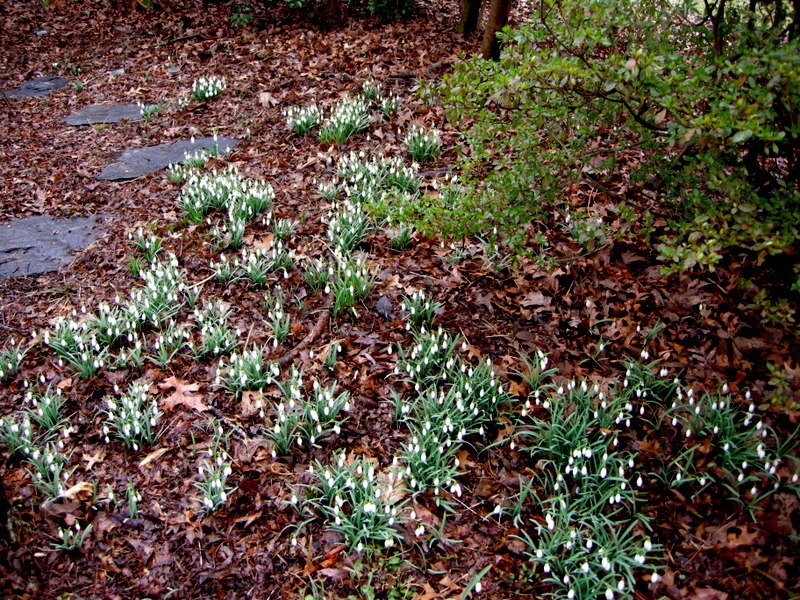 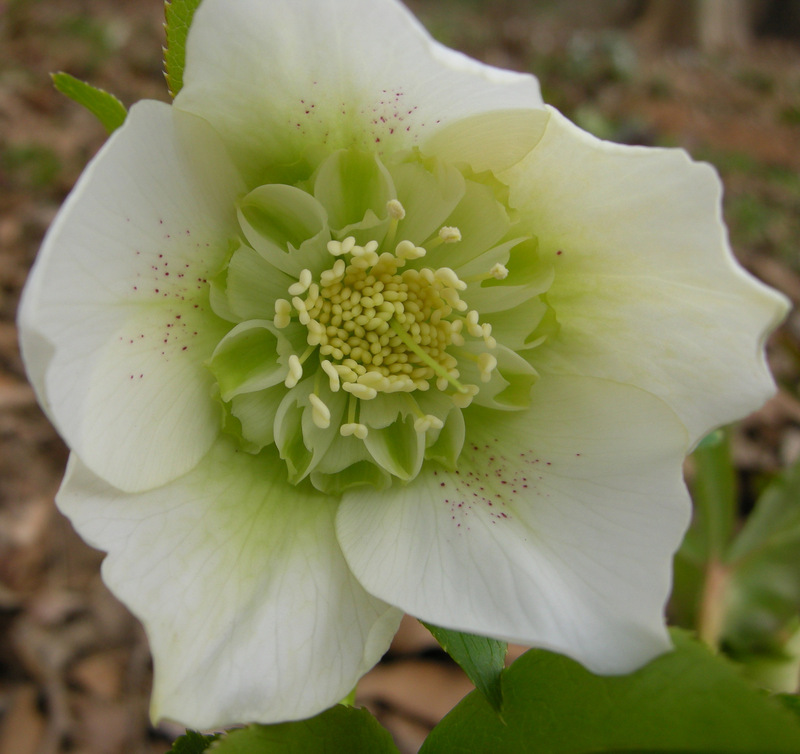 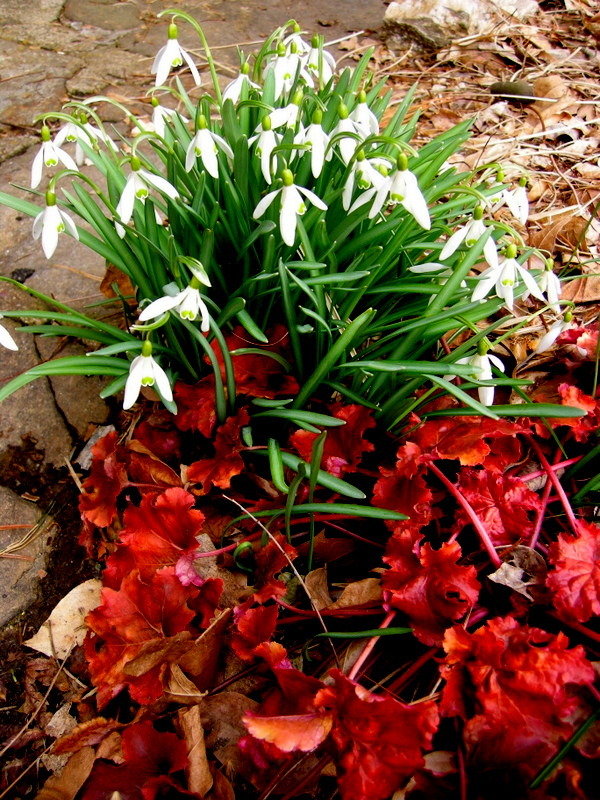 As Henry Francis du Pont added plants to Winterthur, snowdrops became a focus. 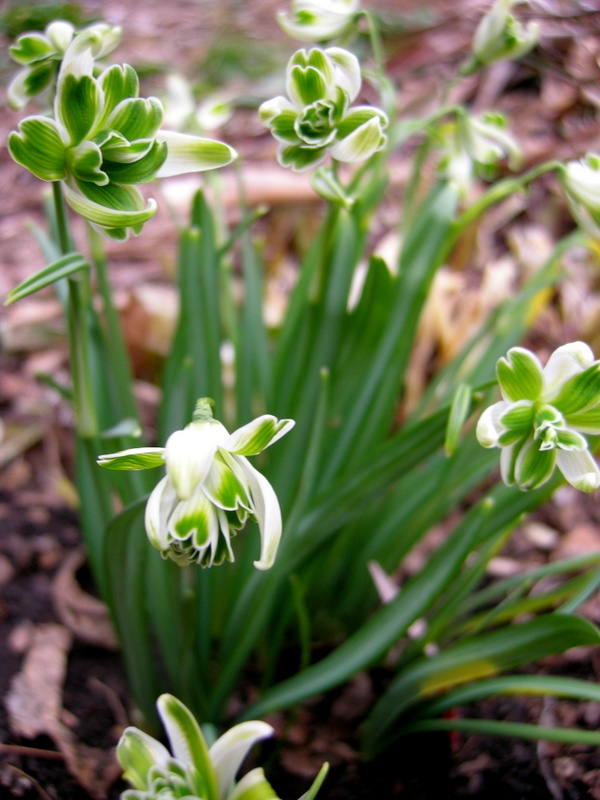 In the 1930s, he purchased the parents of these very bulbs from Barr & Sons, a renowned bulb house that operated in Covent Gardens, London, from 1882 to 1956. 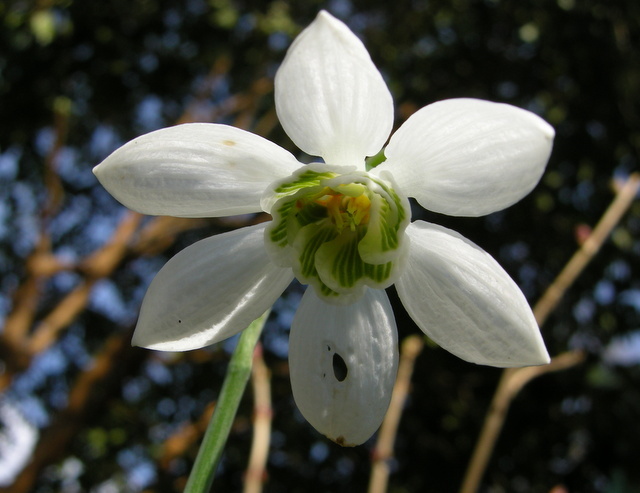 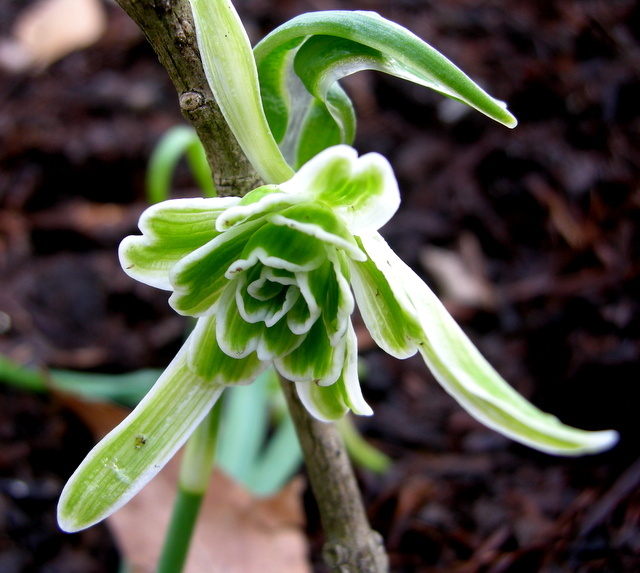 When Charles Cresson worked at Winterthur in the early 1990s, he was given plants of this unique snowdrop, and we are offering the offspring of those plants in the 2012 catalogue. 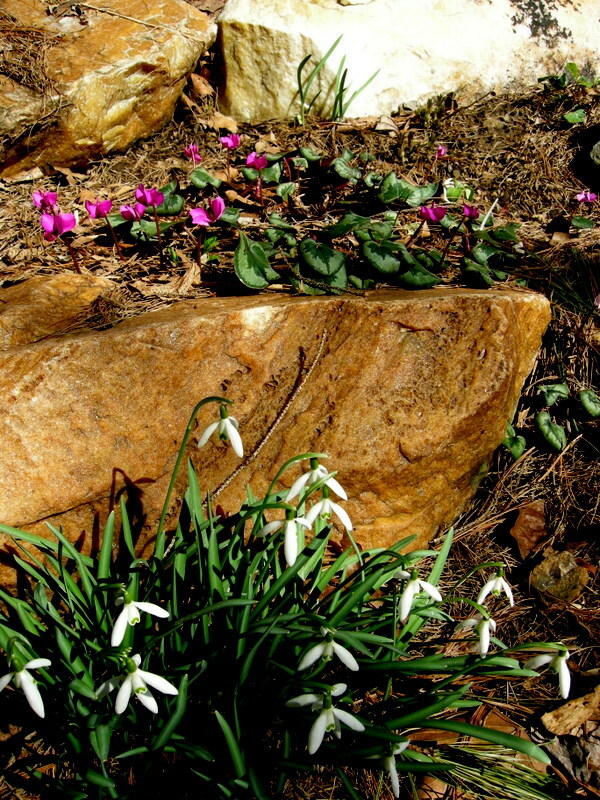 Now that’s provenance! 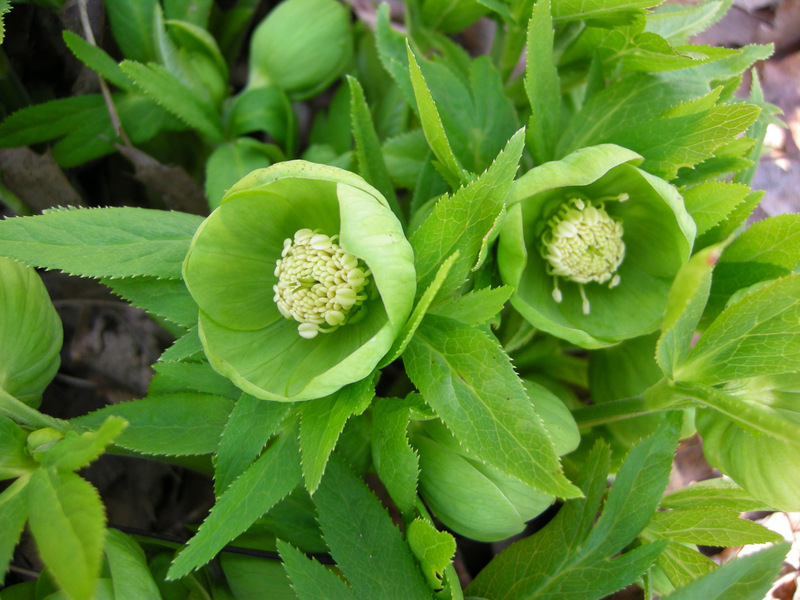 The Greatorex double ‘Hippolyta’ (photo by and used with the permission of Paddy Tobin). 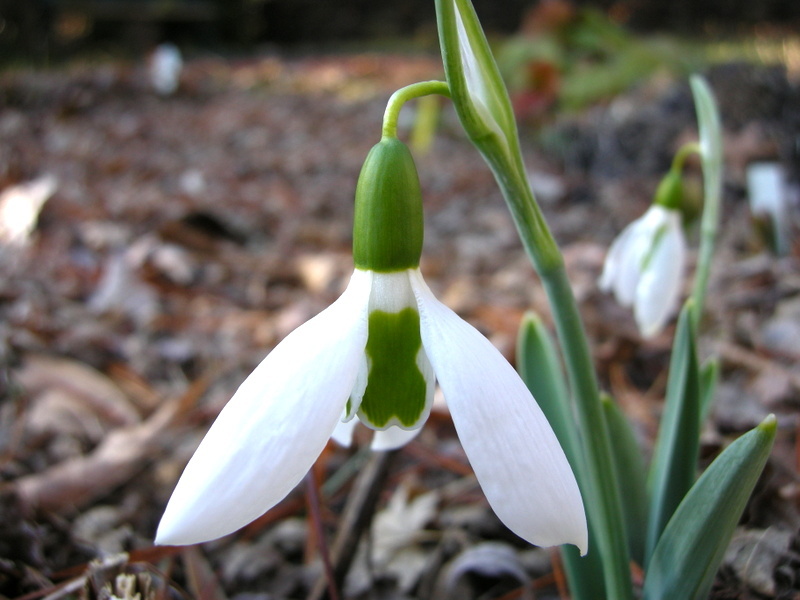 The final two new snowdrops were both hybridized in the mid-twentieth century by the legendary but enigmatic snowdrop breeder Heyrick Greatorex and are known as Greatorex doubles. 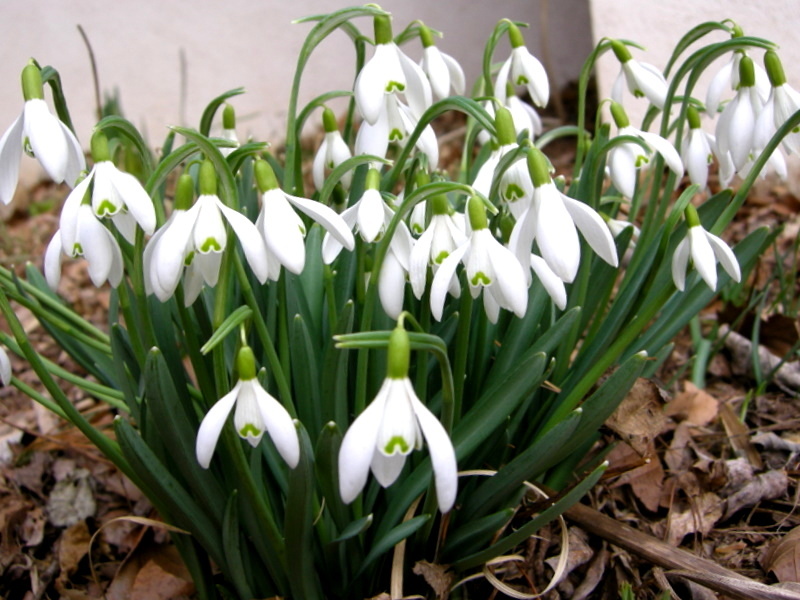 Snowdrops makes an unflattering reference to a story that he spent World War II in a local pub. 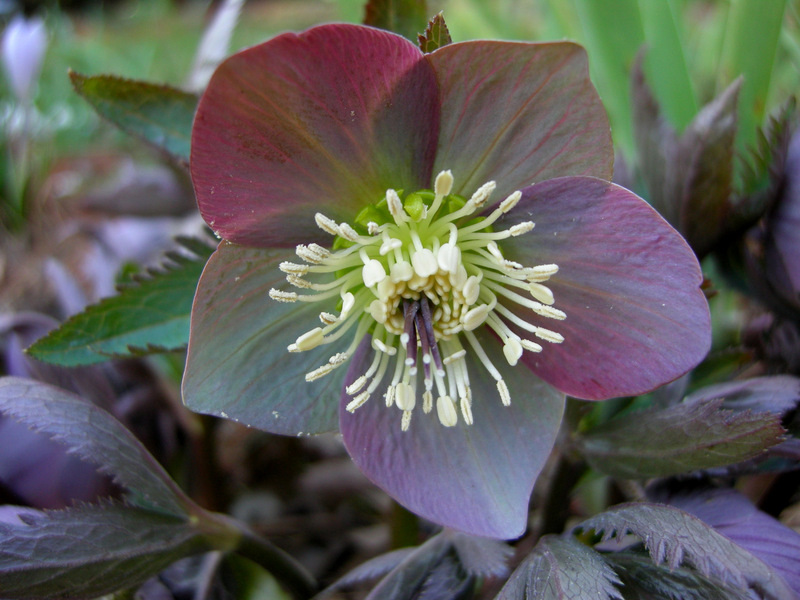 However, further research reveals that, in addition to serving in WWII, he fought in World War I, was wounded at Lagincourt, and received the Victory and British Medals—a very distinguished record indeed. 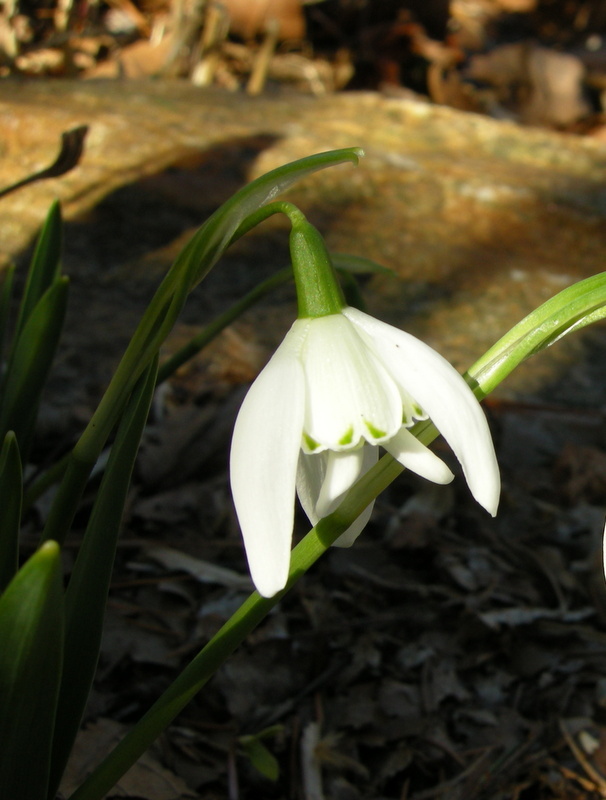 If you would like to read more about him, click here. 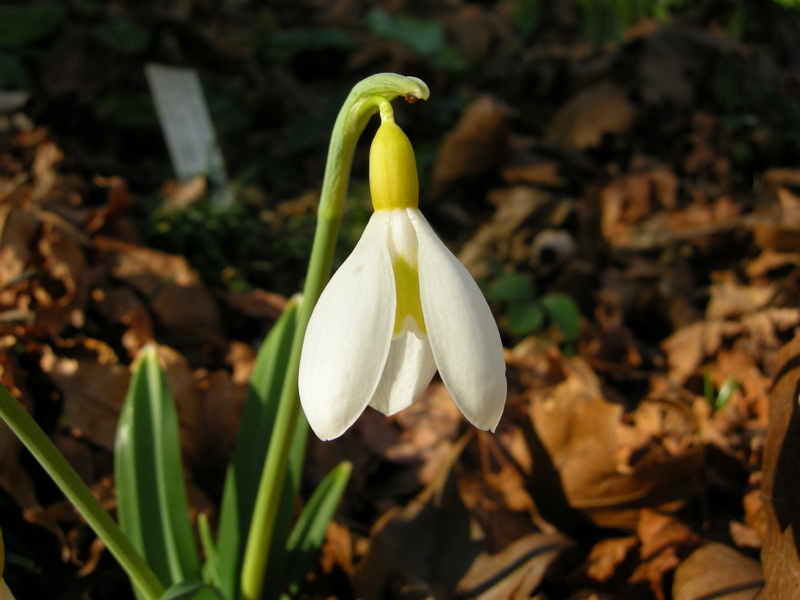 ‘Hippolyta’ is the shortest of the many Greatorex double snowdrops, which Heyrick Greatorex developed by crossing the double common snowdrop, G. nivalis ‘Flore Pleno’, with the species G. plicatus to create large and vigorous plants. 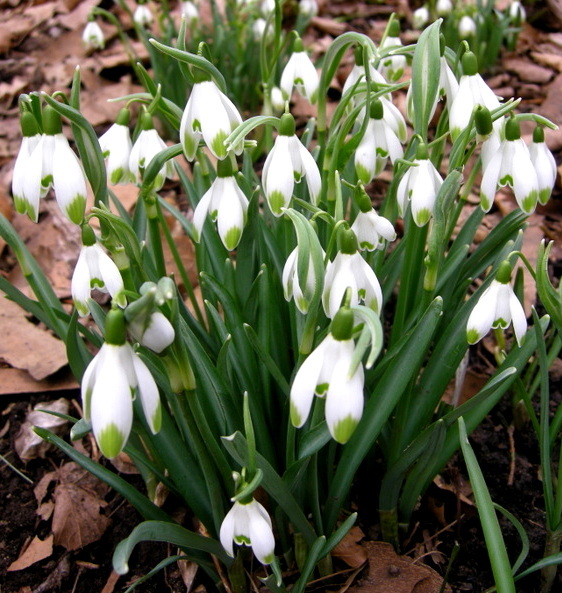 He named them after characters in Shakespeare’s plays, Hippolyta appearing in A Midsummer Night’s Dream. 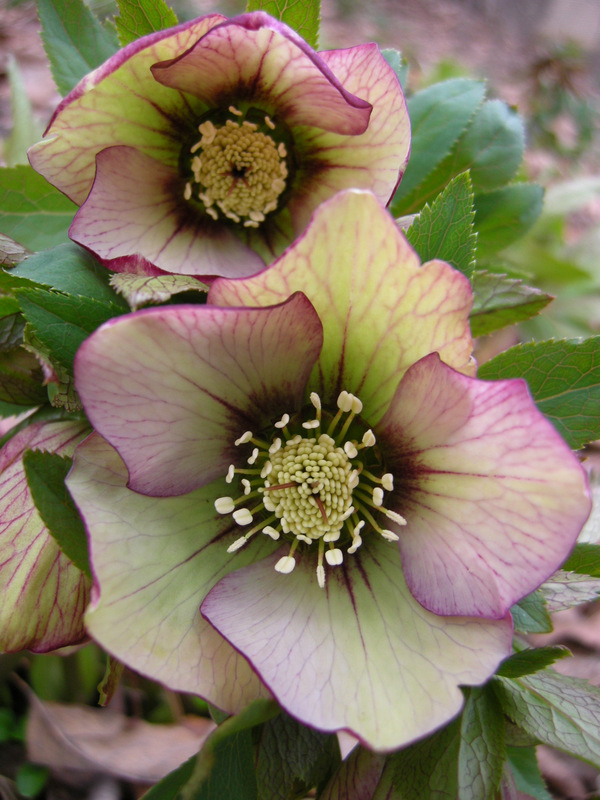 Although some of the Greatorex doubles are confused, ‘Hippolyta’ consistently produces neatly doubled, rounded flowers, combining a tightly compact inner rosette with cupped and flaring outer petals (segments)—a charming arrangement. 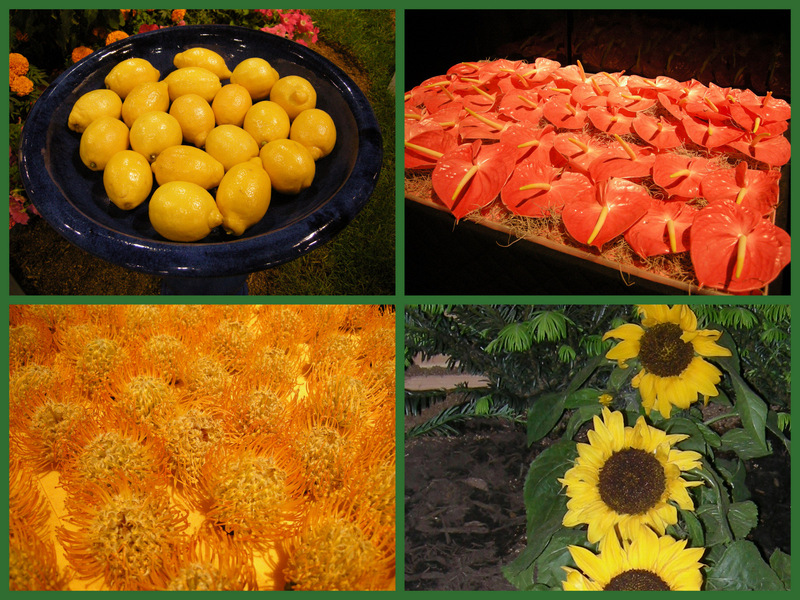 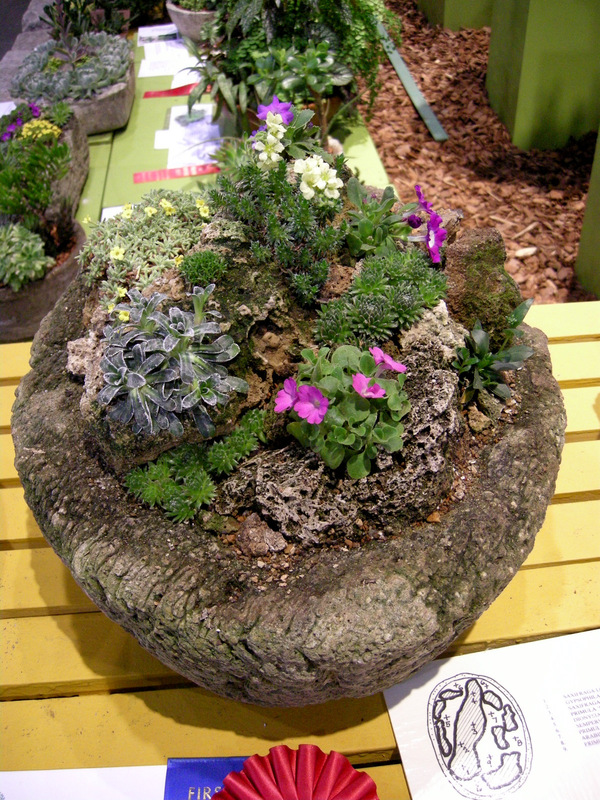 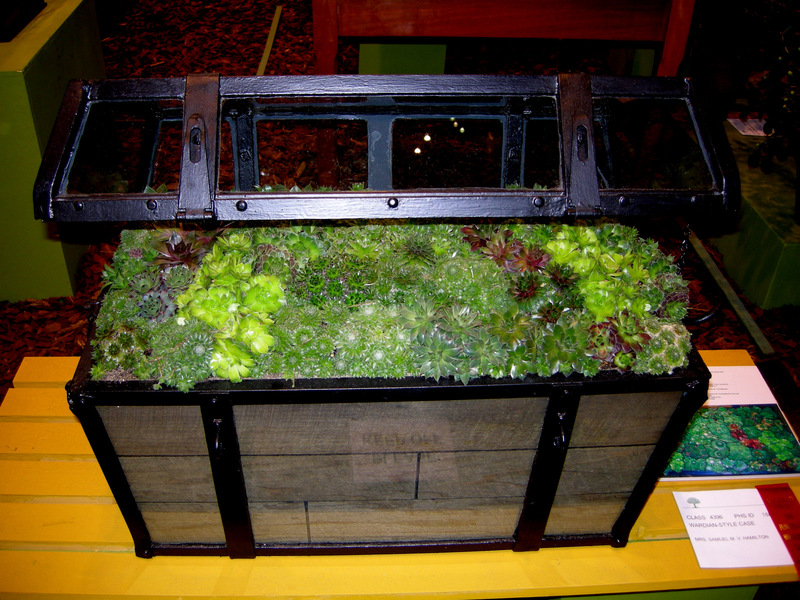 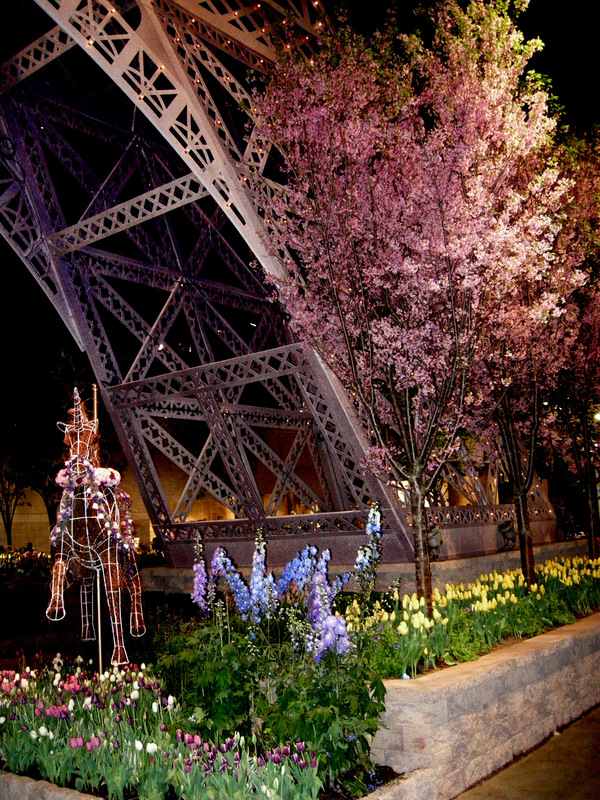 It received an Award of Garden Merit from the Royal Horticultural Society in 1970. 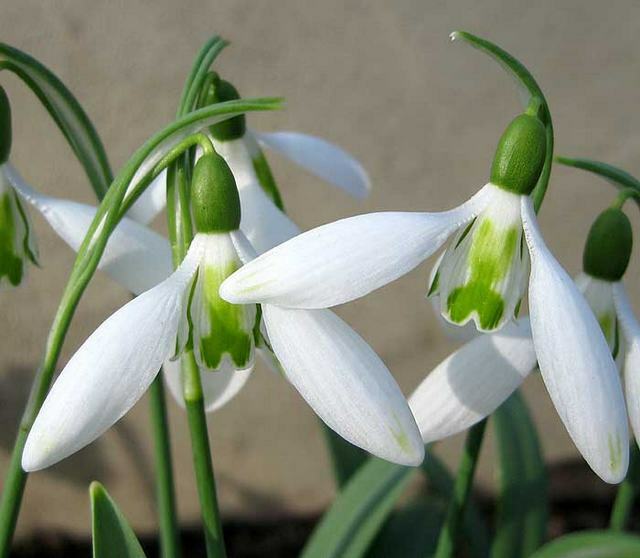 The final member of the five new snowdrops in my 2012 Snowdrop Catalogue is ‘Dionysus’, also a member of the acclaimed series of double snowdrops developed by Heyrick Greatorex (although not a Shakespeare character). 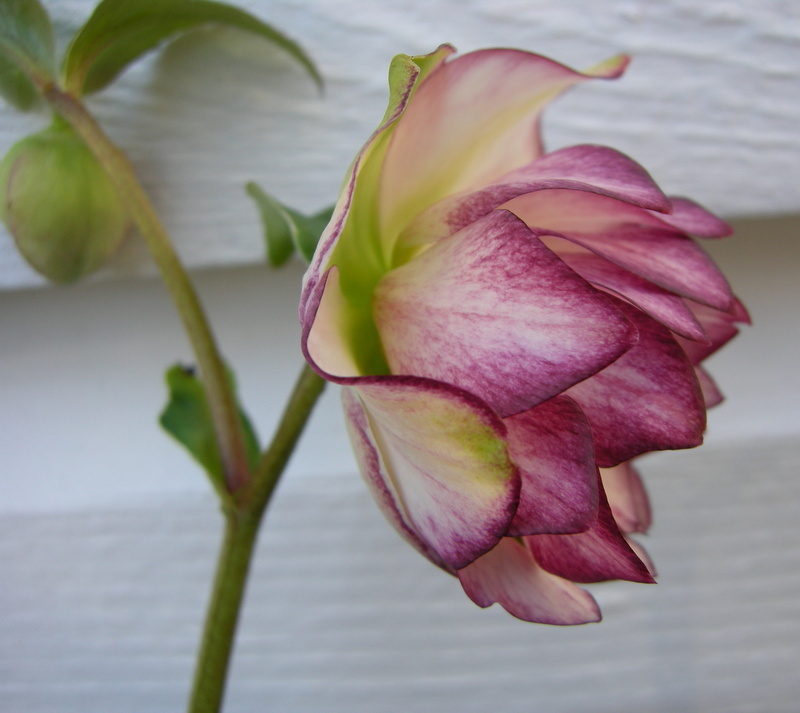 ‘Dionysus’ is one of the taller and earlier flowering doubles in this series. 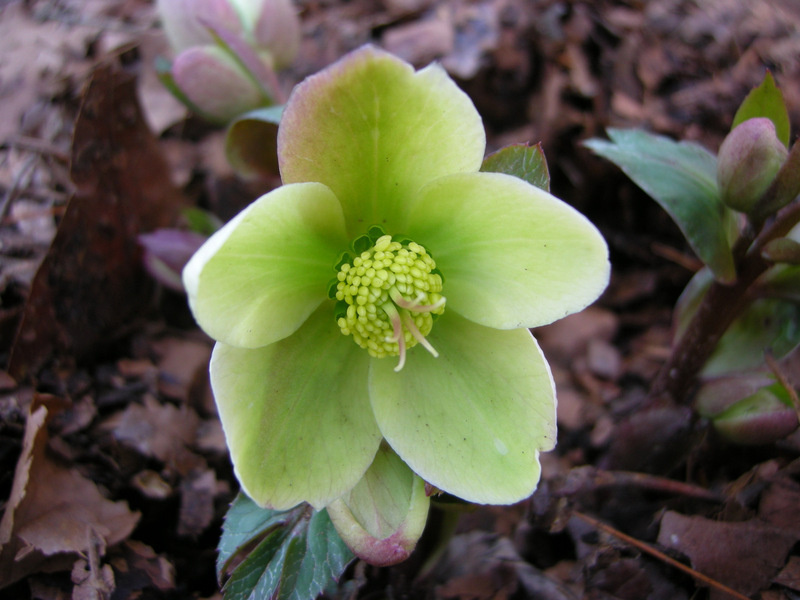 It has fewer inner segments than other Greatorex doubles, and they feature a large, deep green, inverted heart-shaped mark. 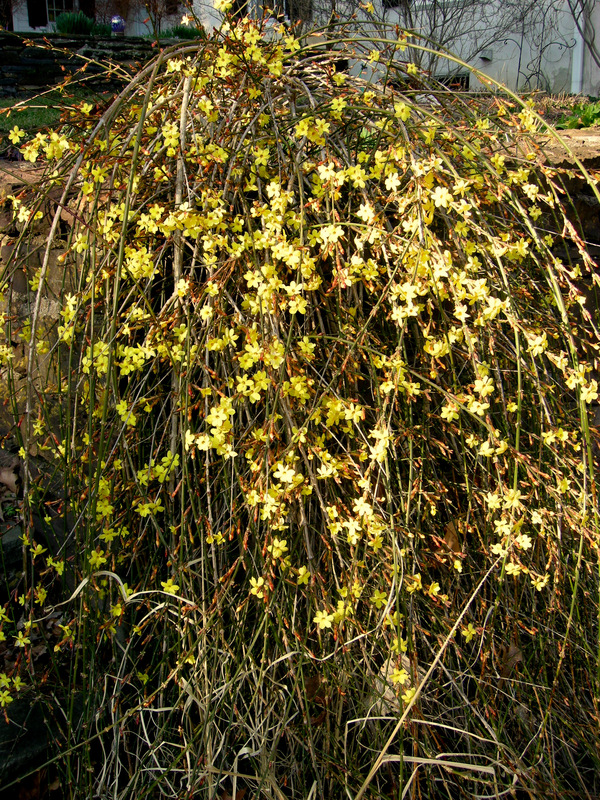 Evidently Heyrick Greatorex described ‘Dionysus’ as one of the best of his doubles for cultivation in the open garden. 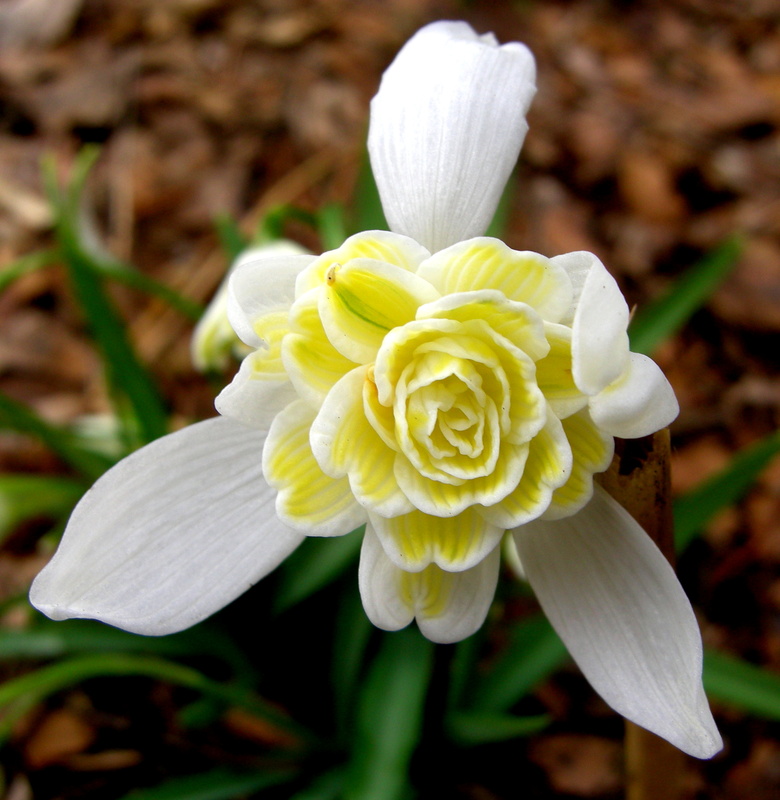 Charles got his bulbs from the well known Oregon bulb authority Jane McGary.